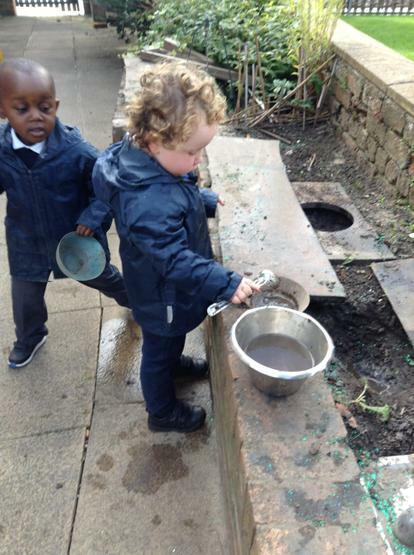 As part of the EYFS curriculum we will explore and develop all our skills across all 7 areas of learning. 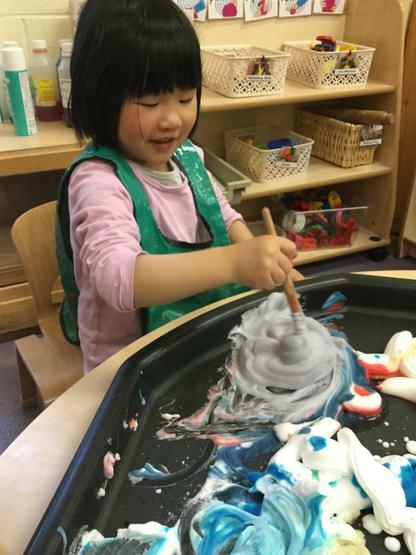 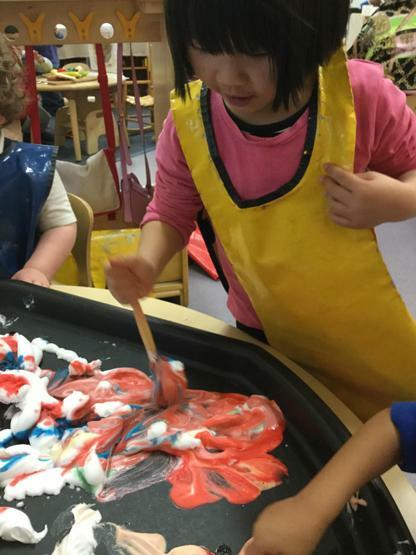 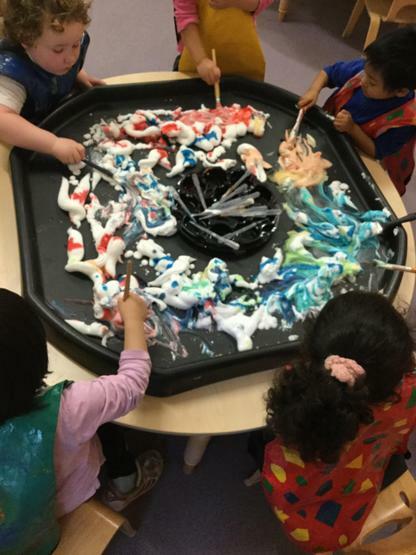 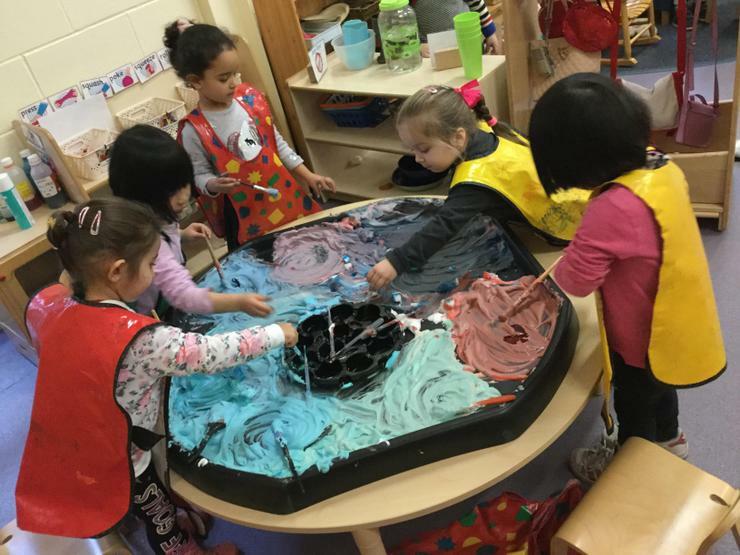 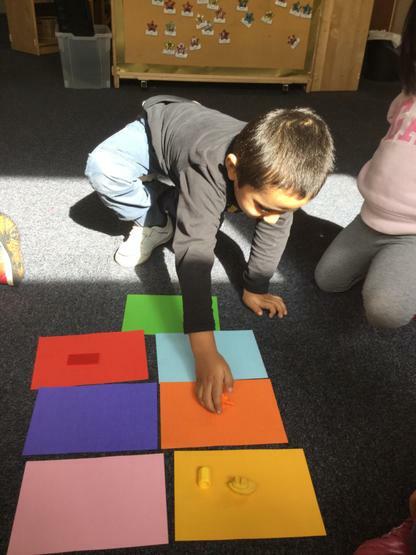 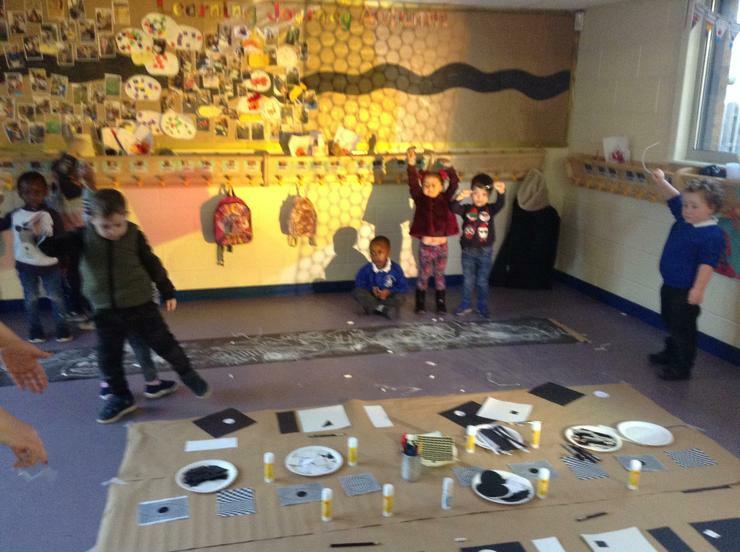 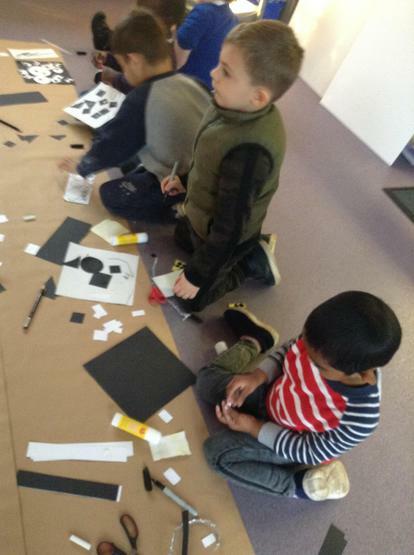 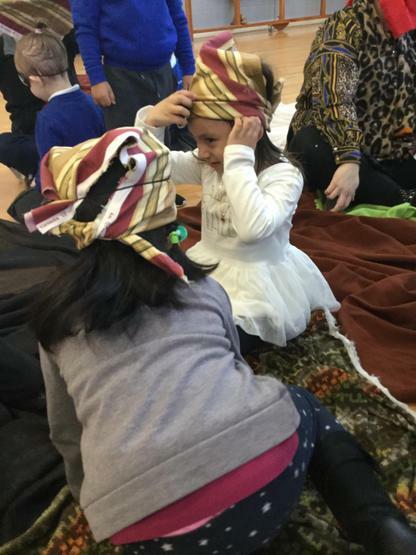 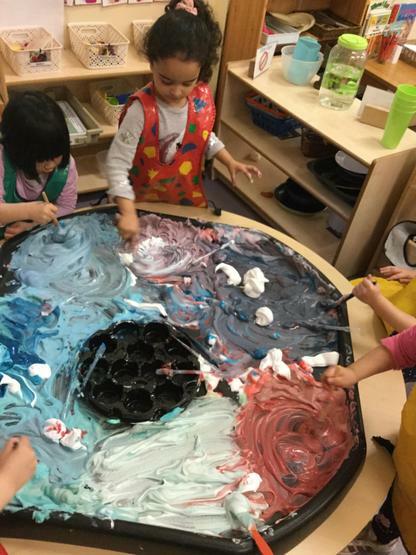 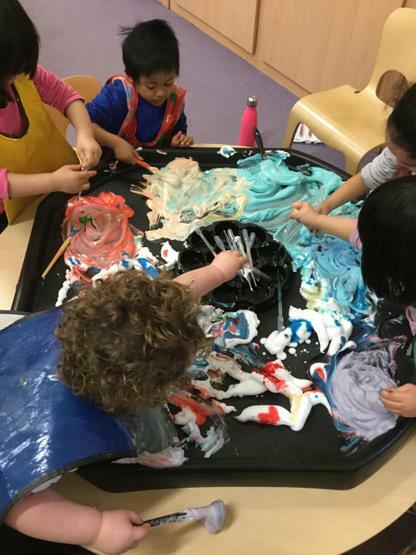 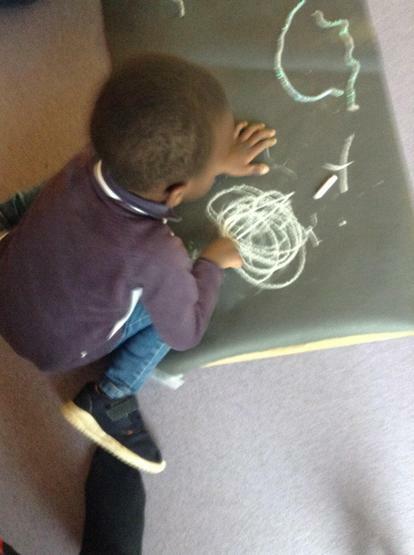 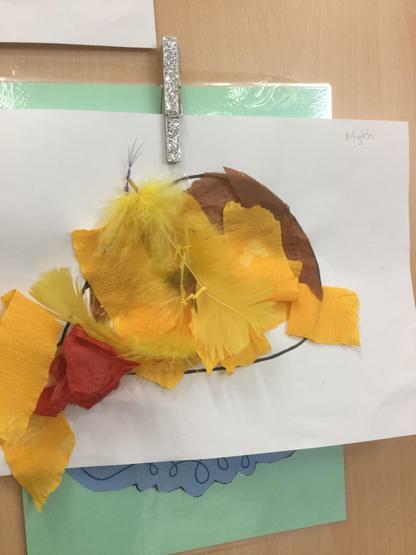 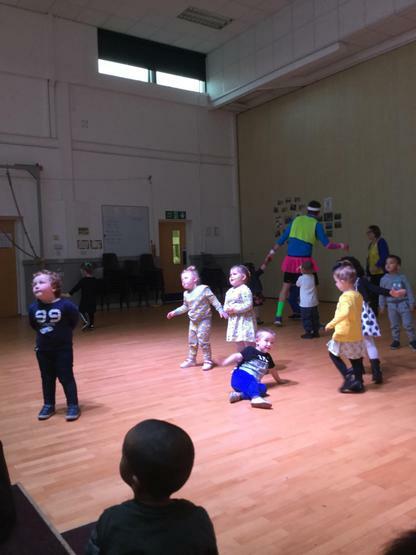 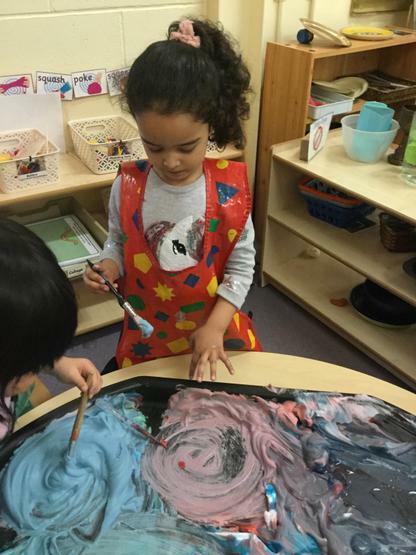 These are Personal, Social and Emotional Development, Communication and Language, Physical Development, Literacy, Mathematics, Understanding of the World and Expressive Arts and Design. 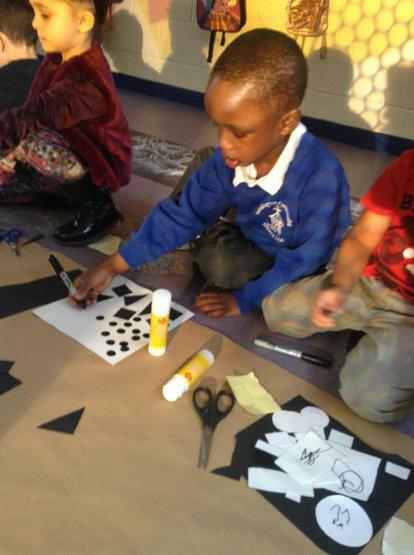 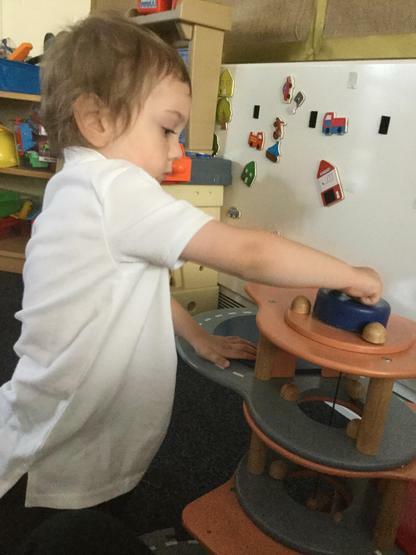 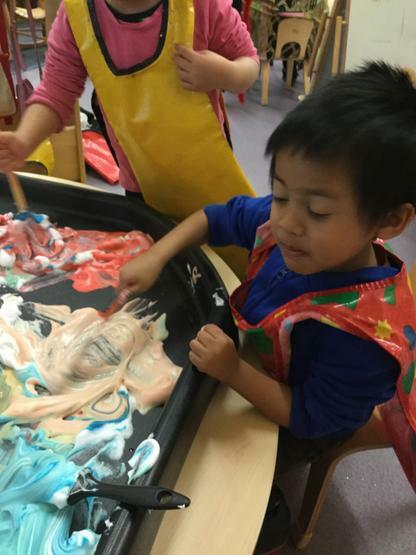 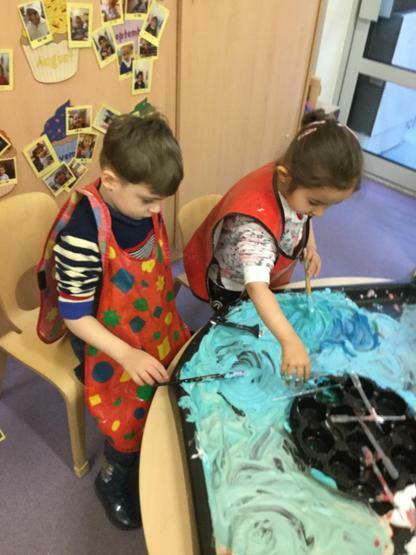 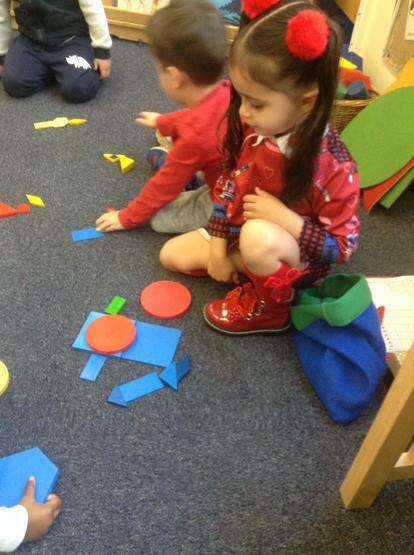 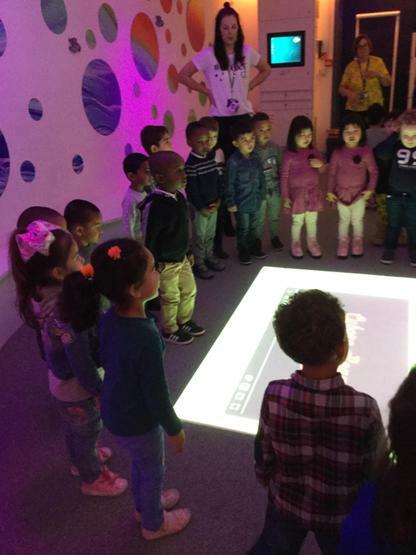 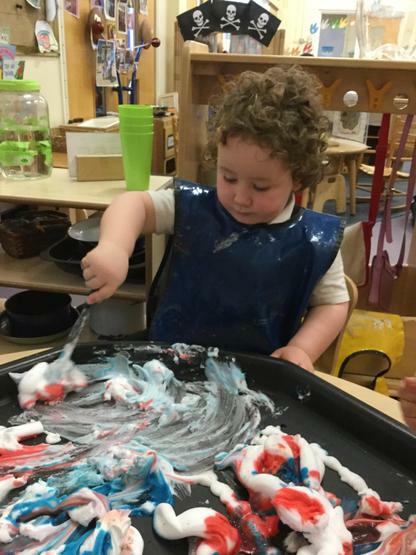 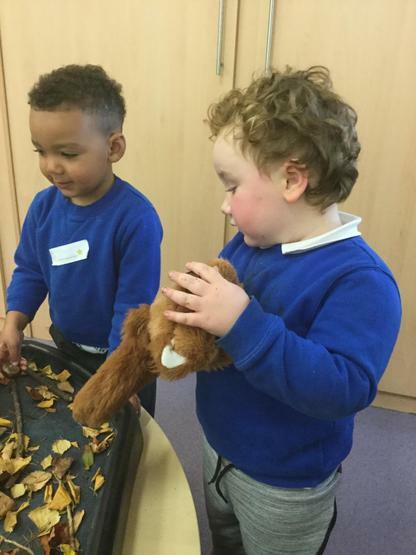 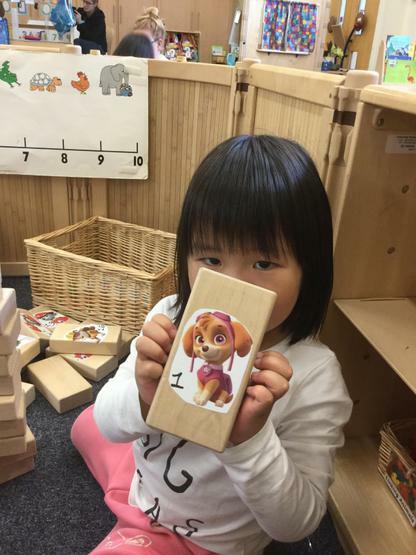 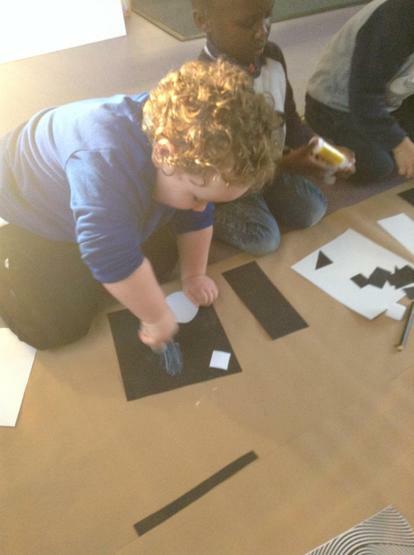 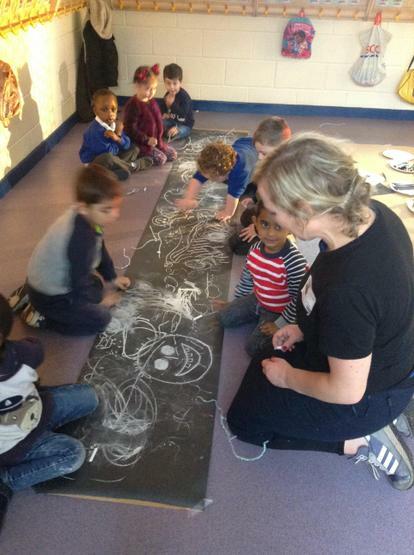 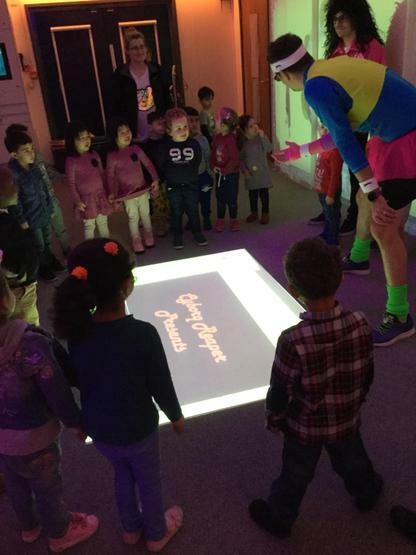 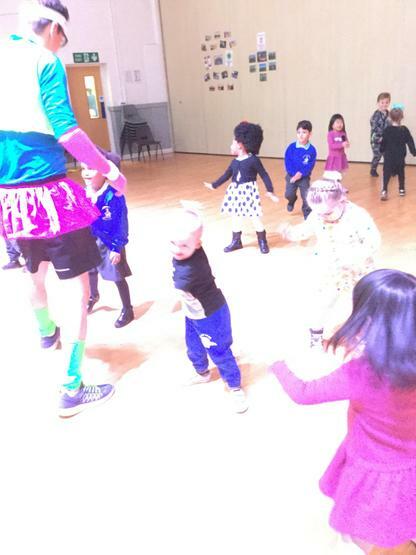 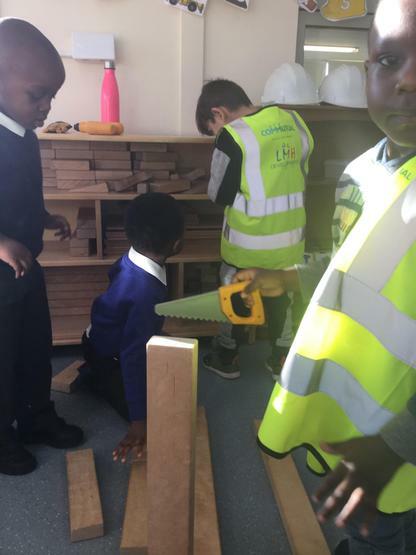 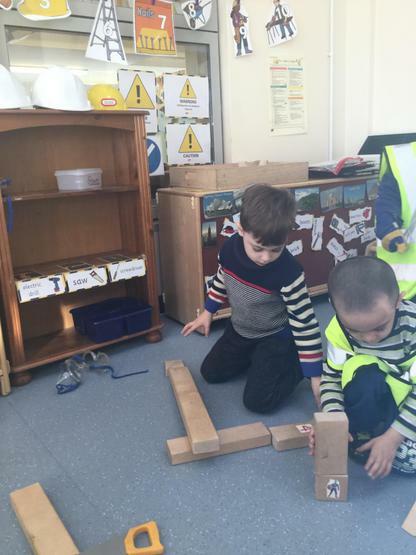 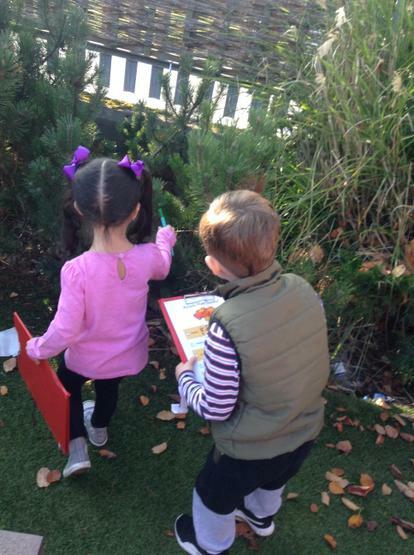 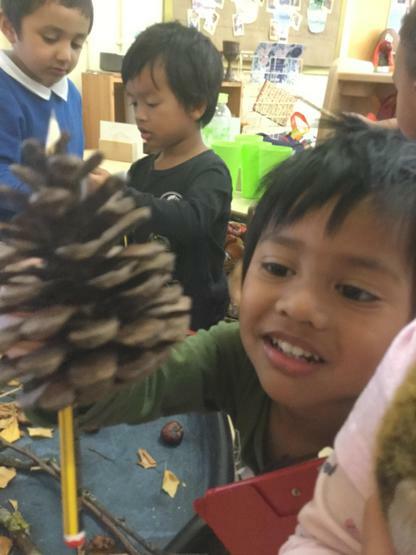 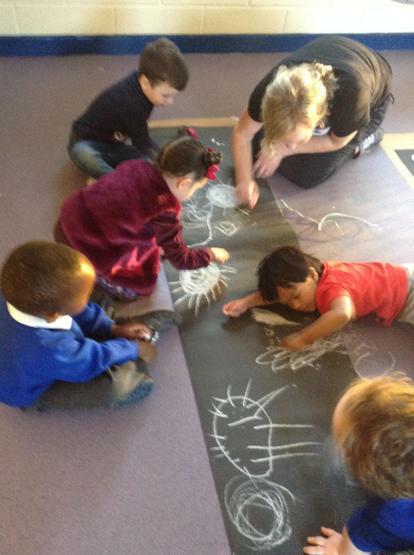 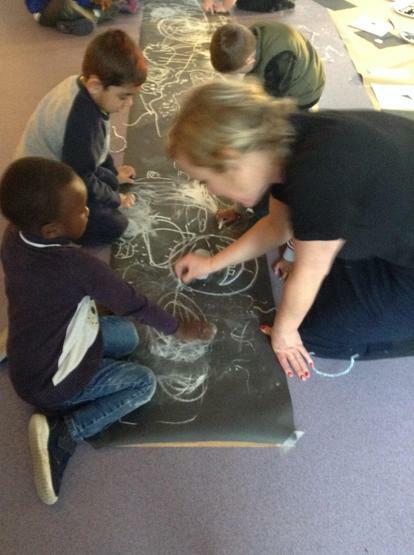 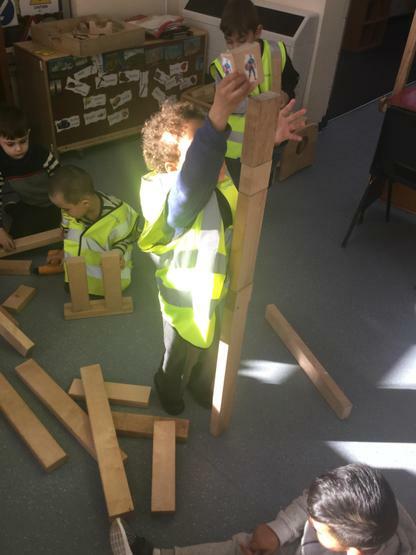 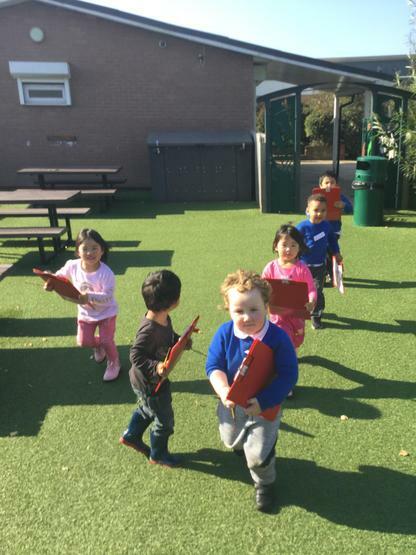 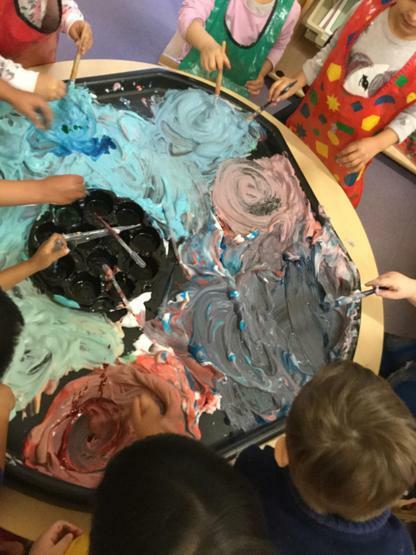 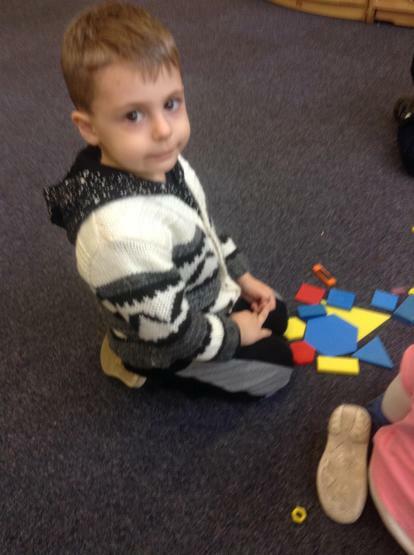 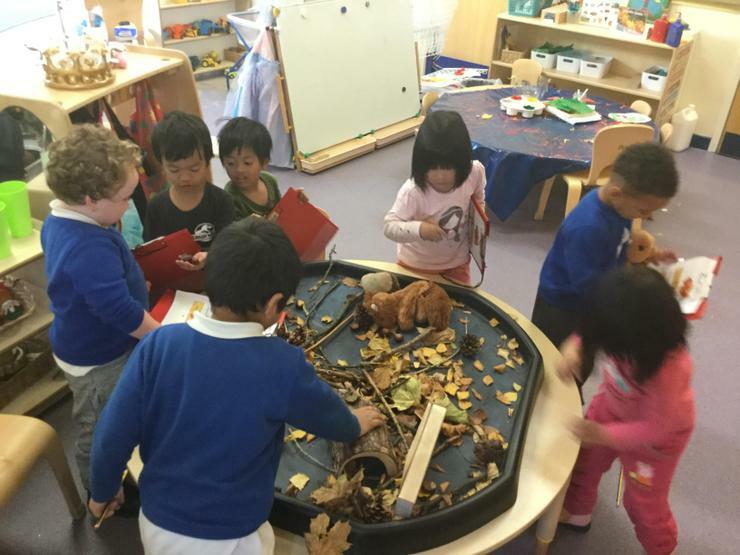 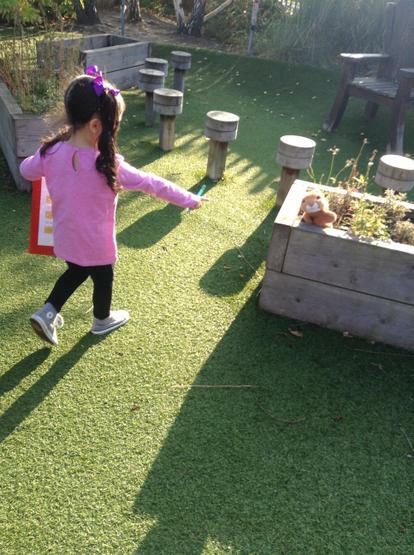 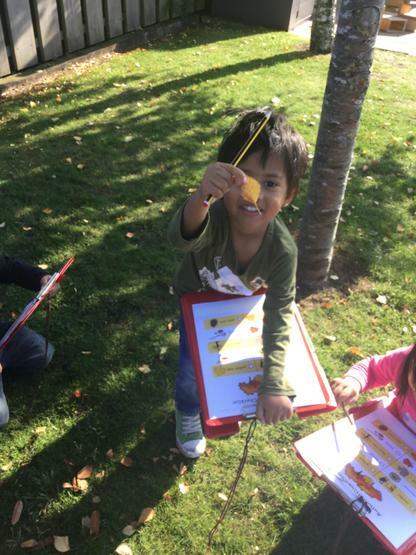 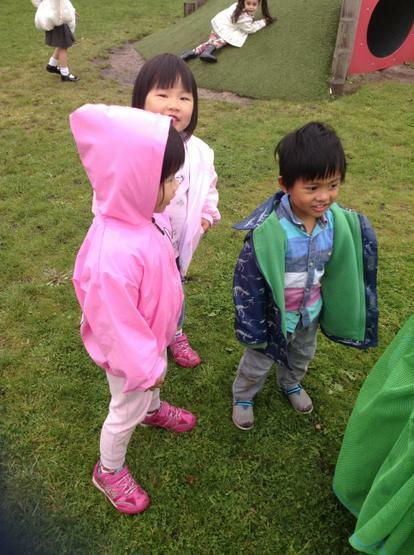 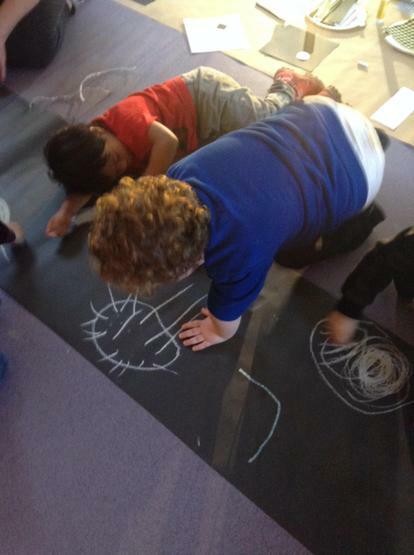 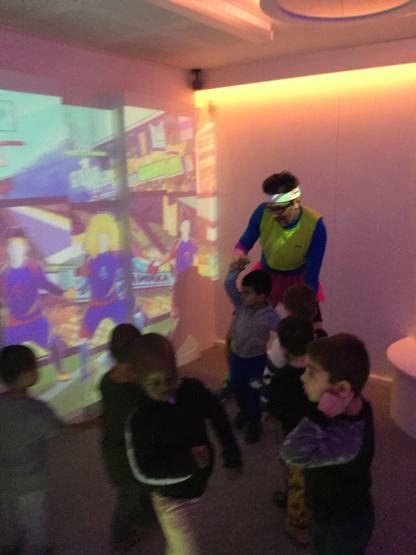 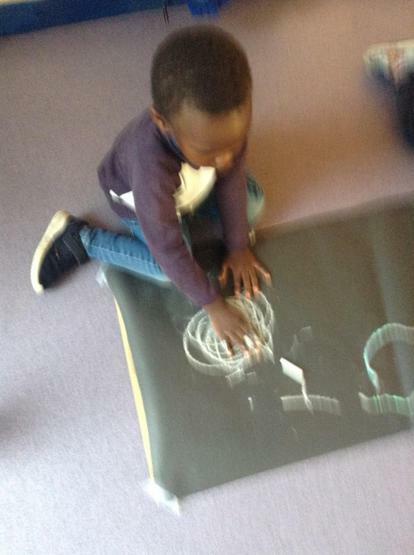 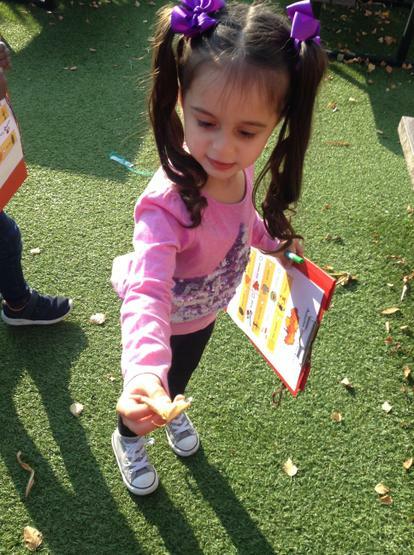 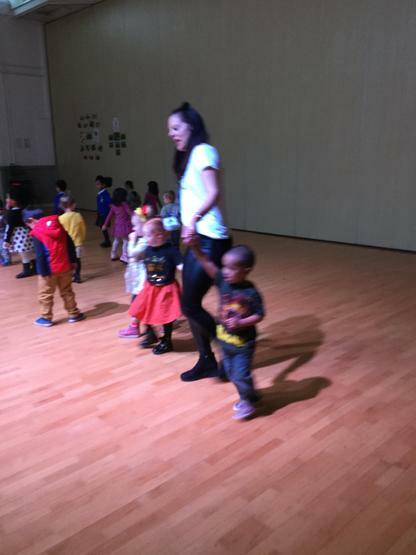 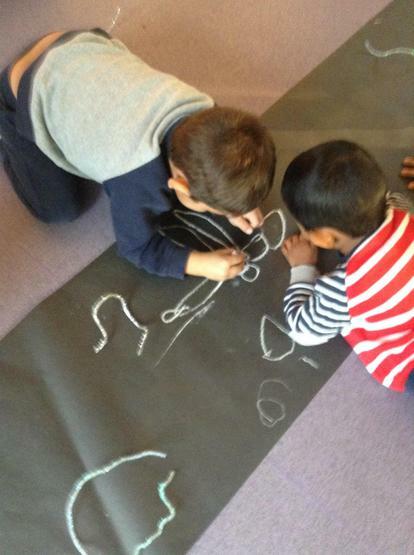 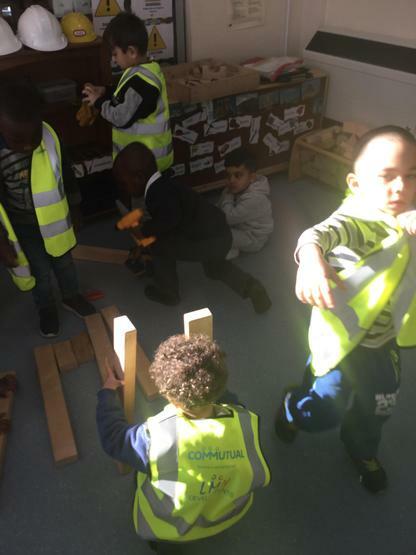 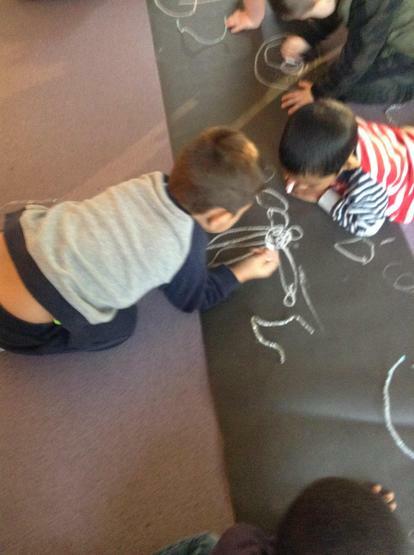 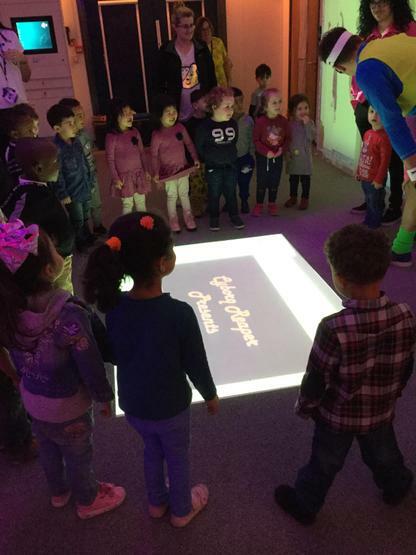 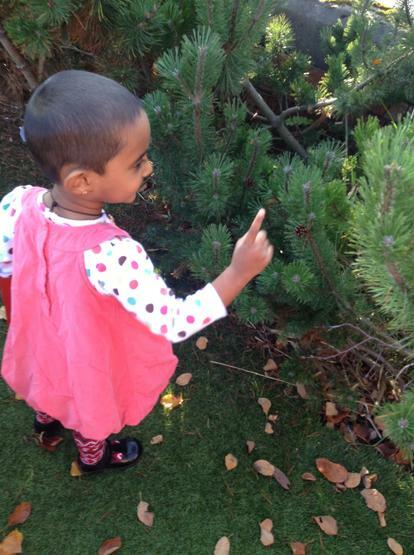 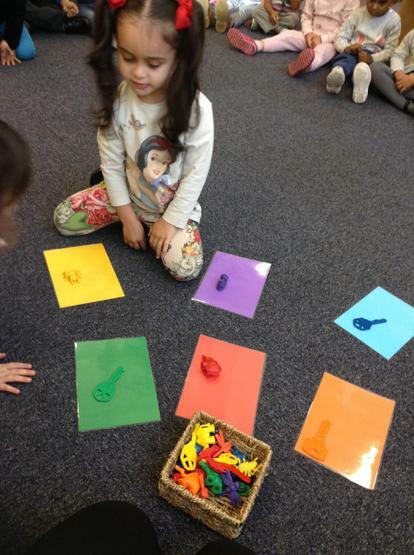 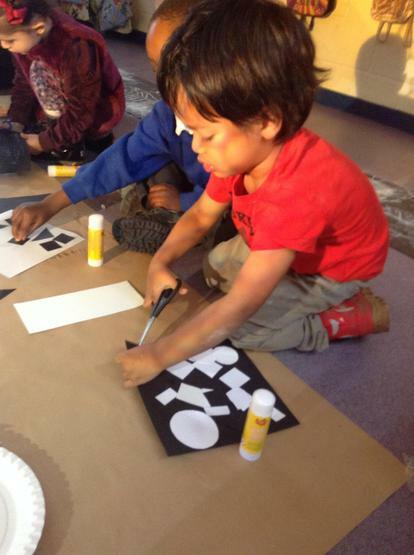 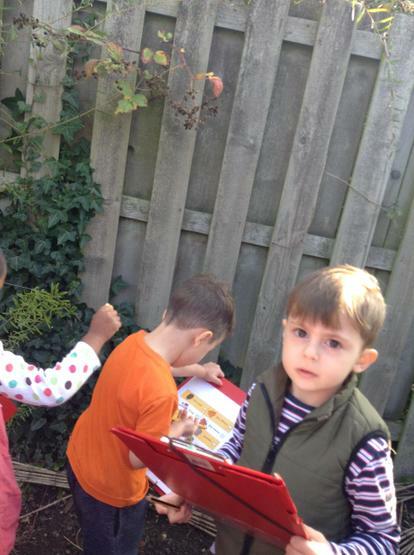 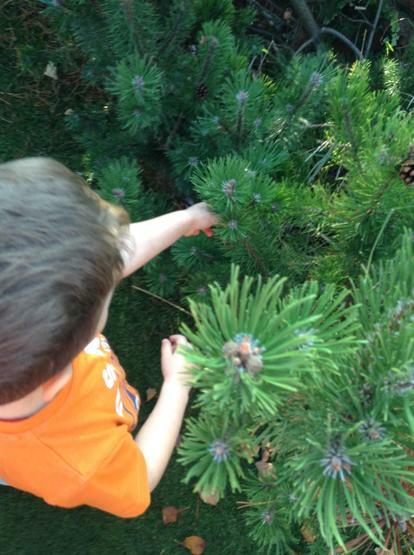 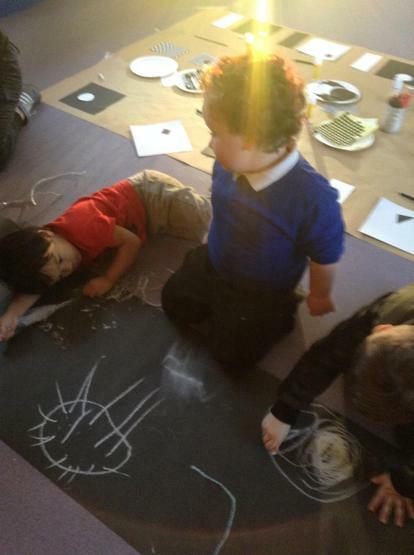 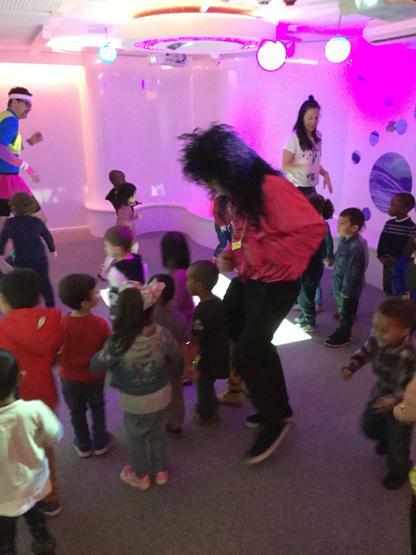 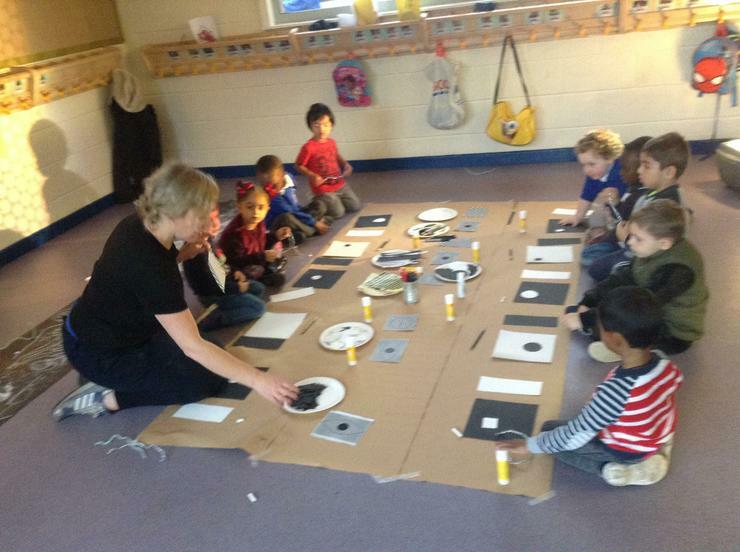 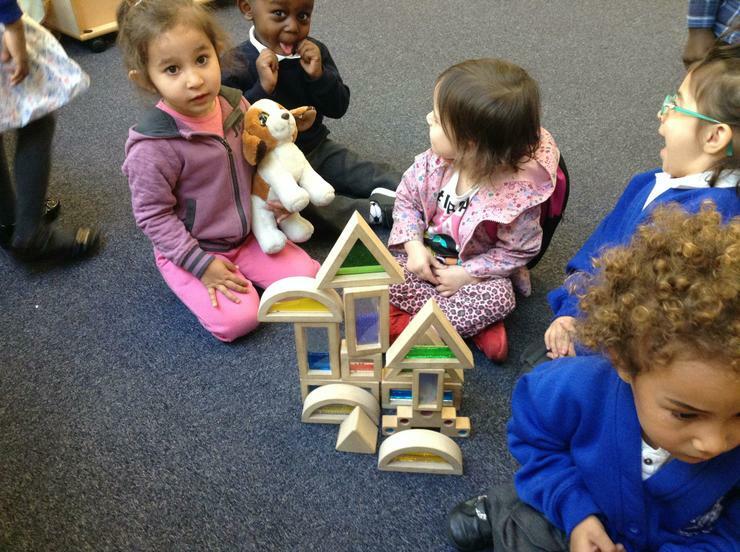 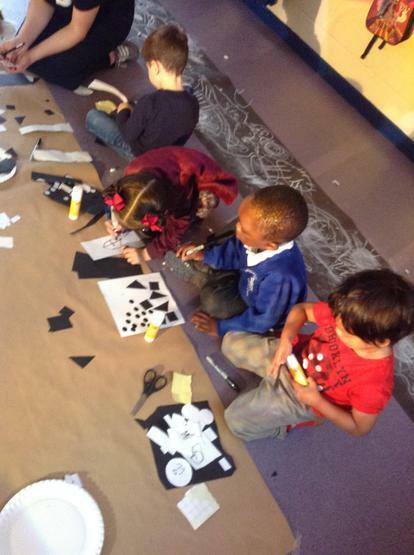 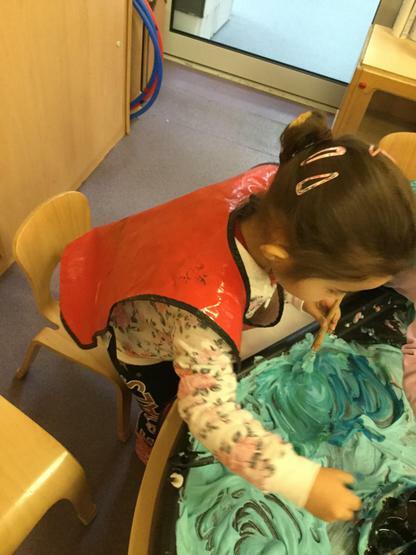 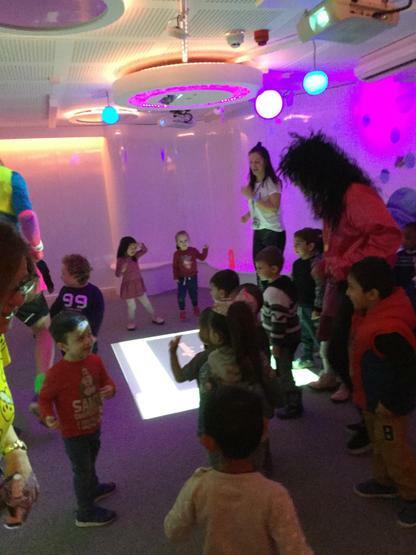 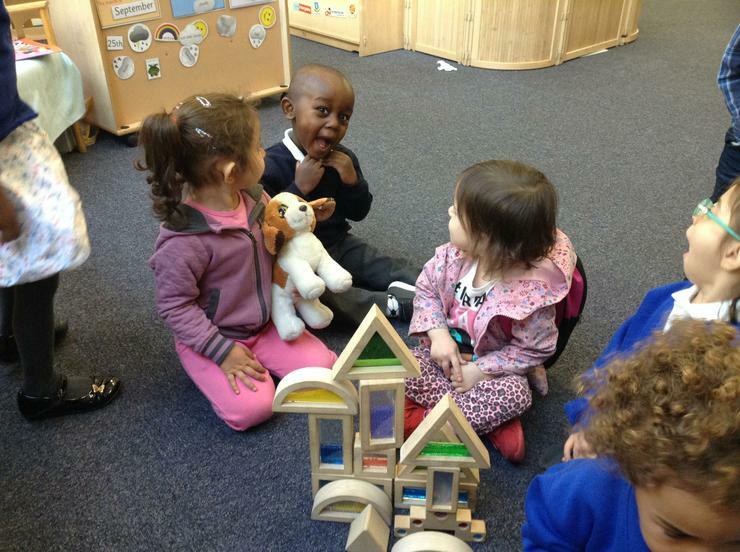 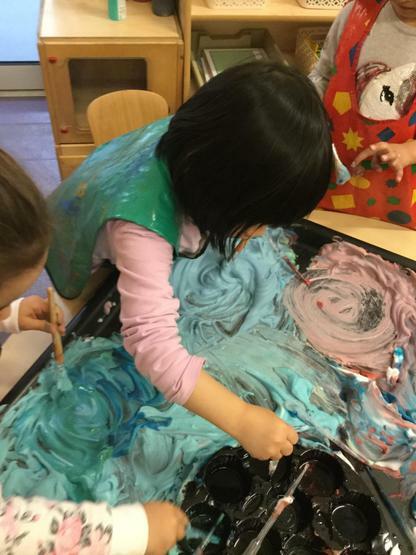 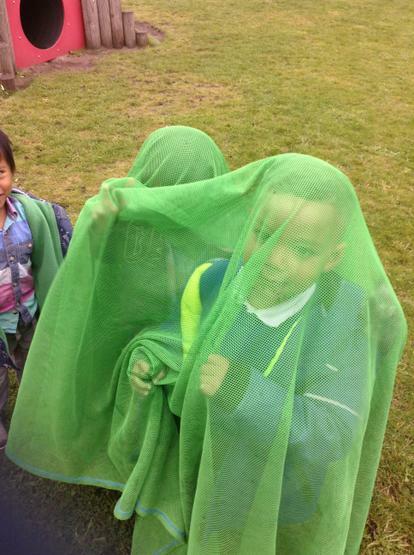 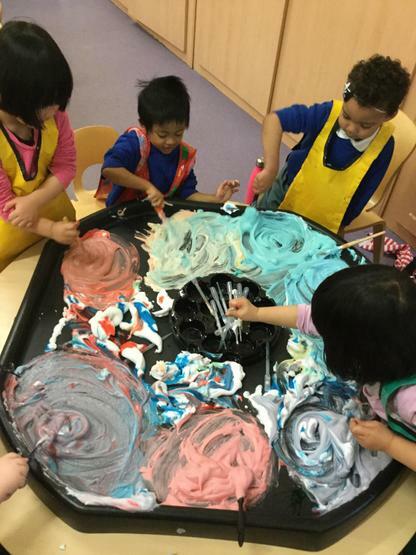 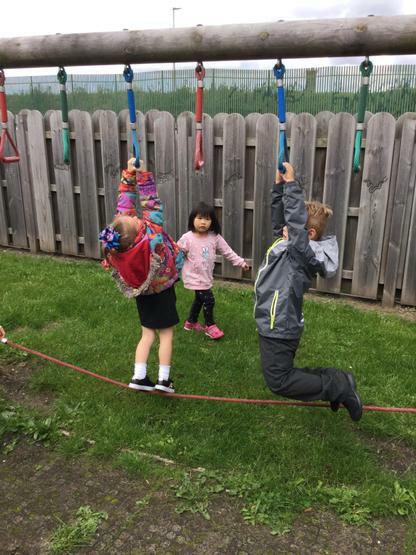 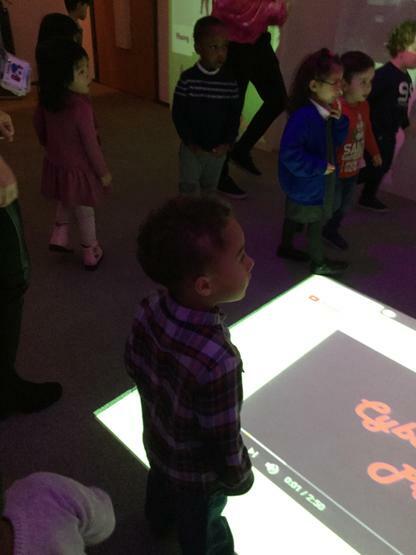 Our curriculum is play based and planned around the children's interests. 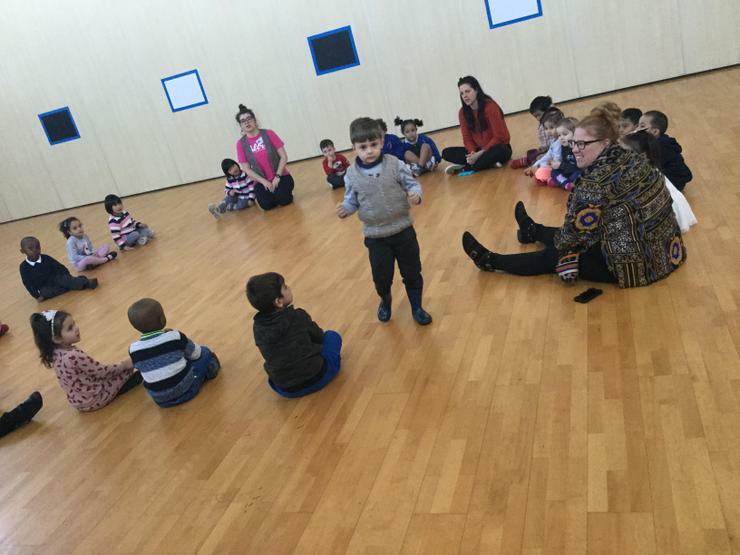 Adults carefully observe the children so that it enables us to plan targetted activities to support the children all round development. 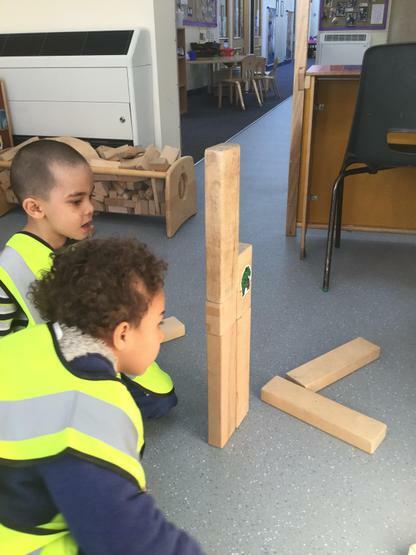 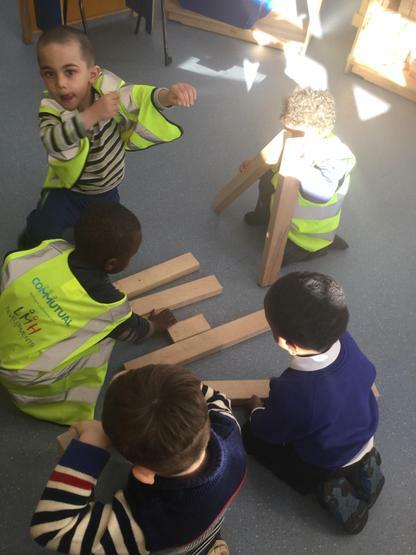 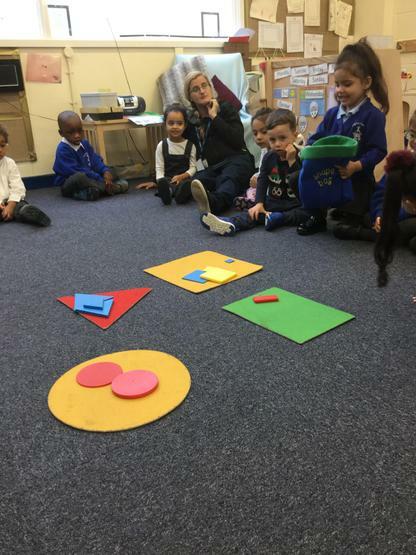 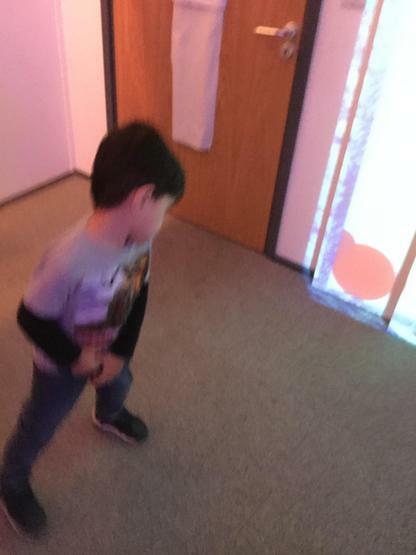 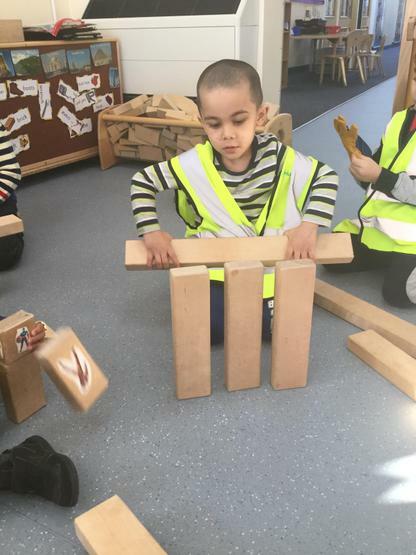 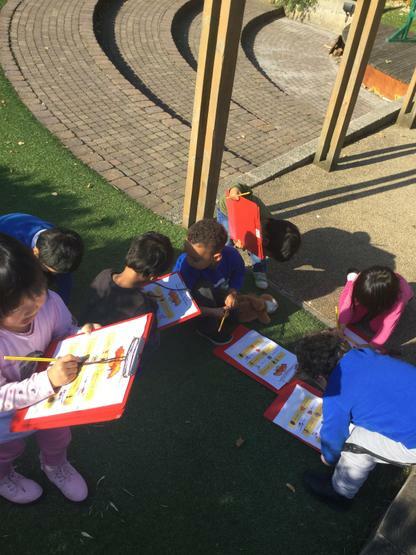 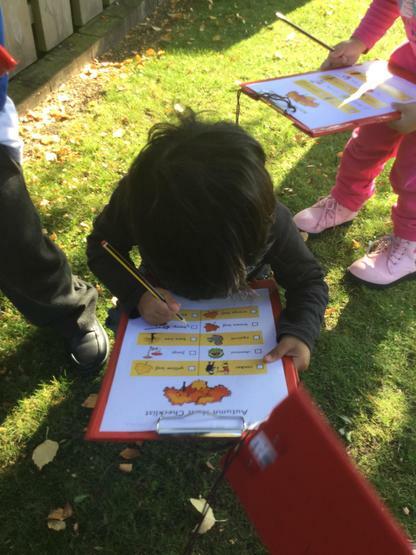 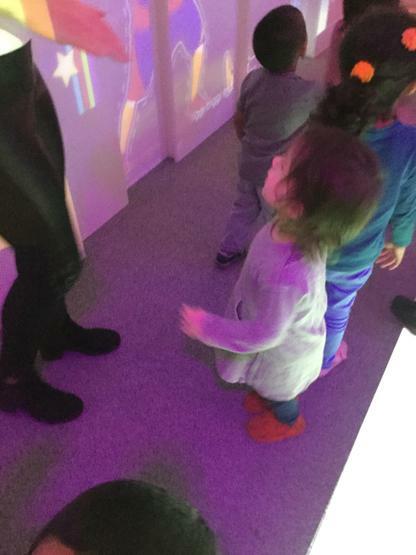 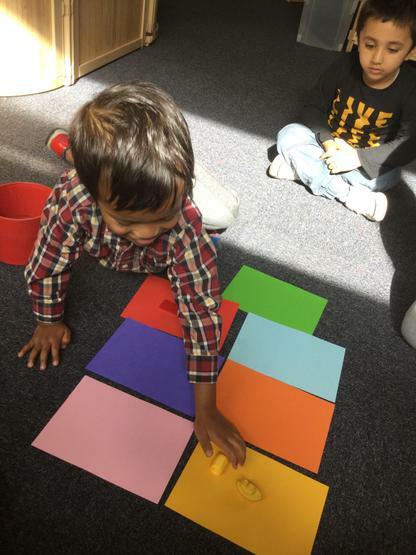 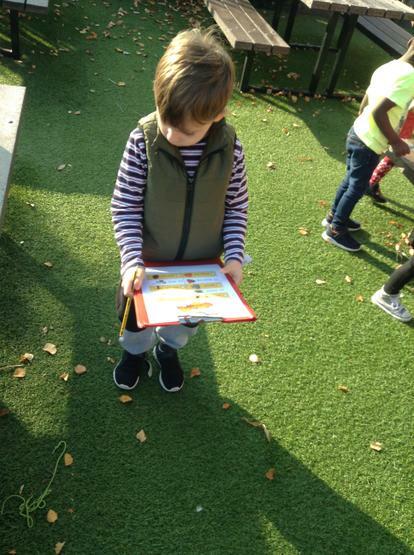 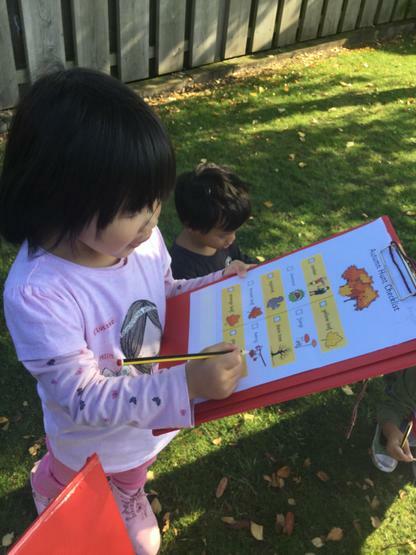 We will also be supporting children's learning through interventions such as Nursery Narrative (a social skills group), Speech and Language Project, Finger Gym (developing physical skills to support writing) and Numbers and Patterns (supporting mathematical development). 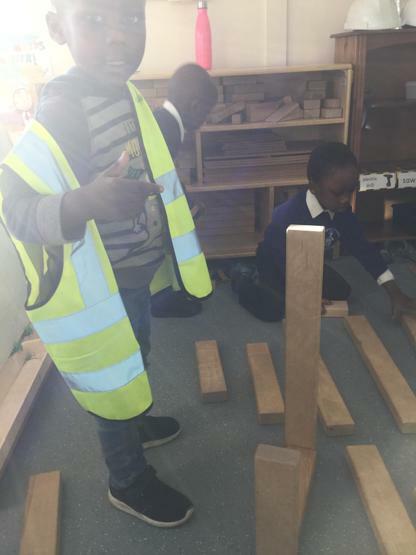 We ensure that our children receive a broad and rich curriculum with a balance of child initiated learning and focused teacher inputs. 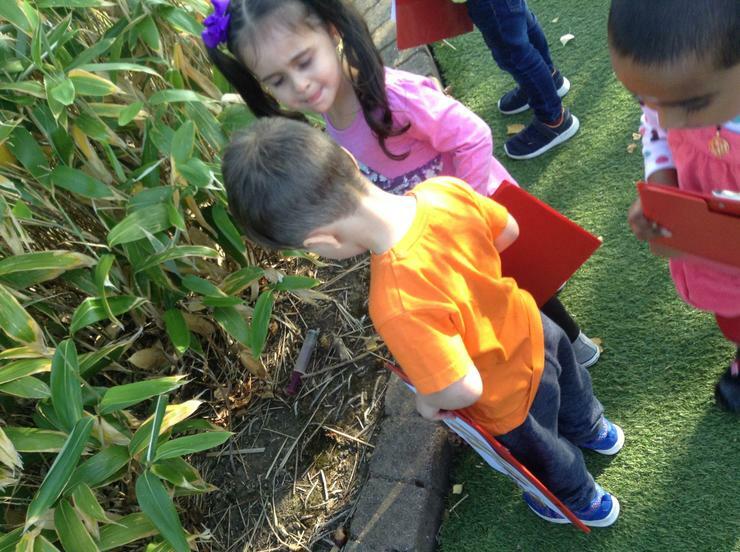 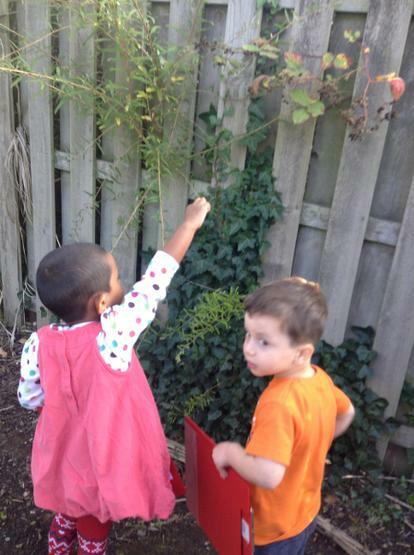 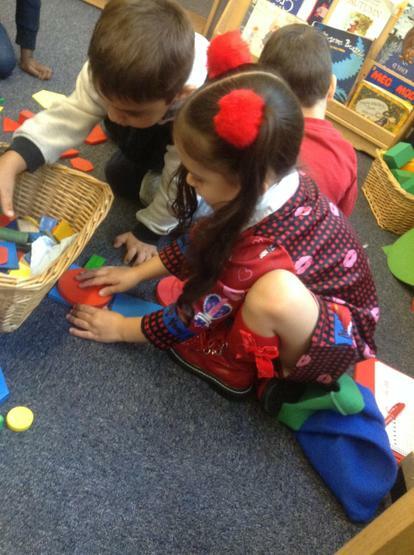 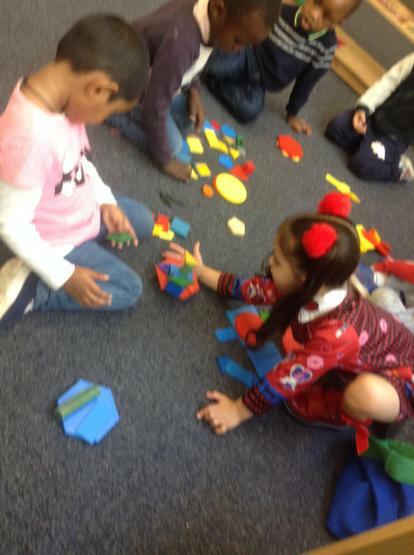 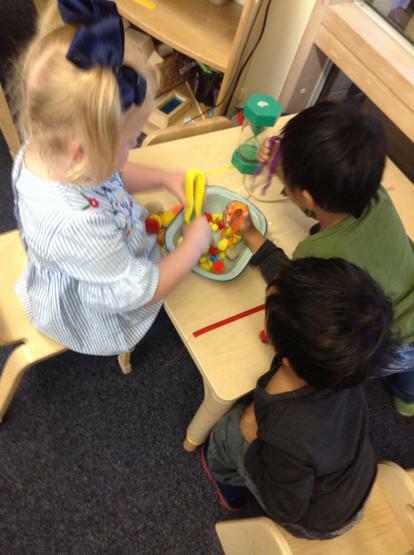 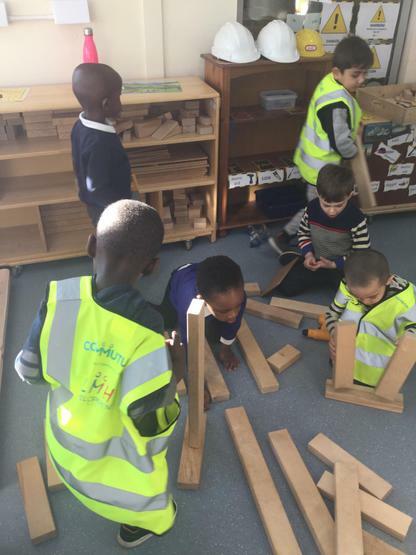 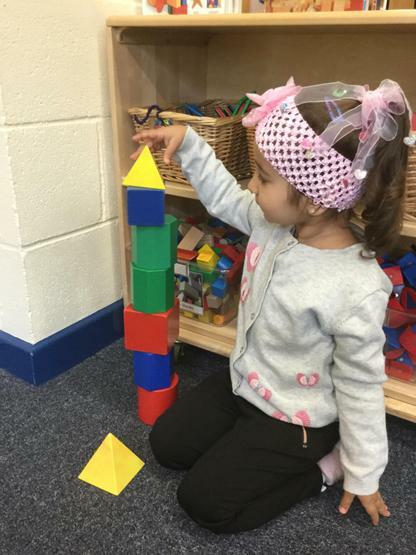 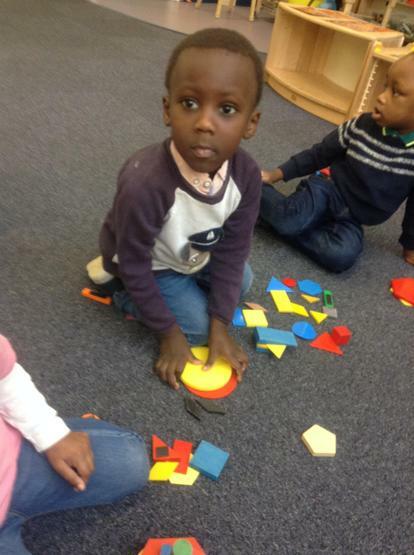 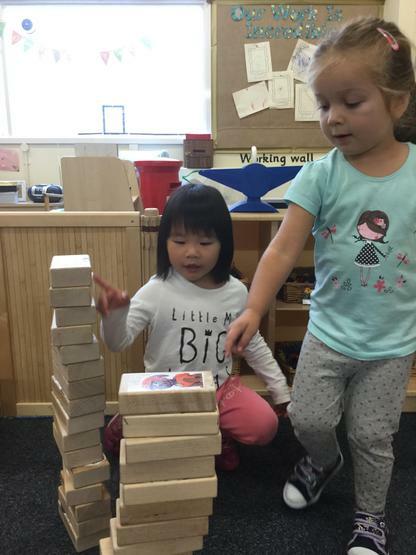 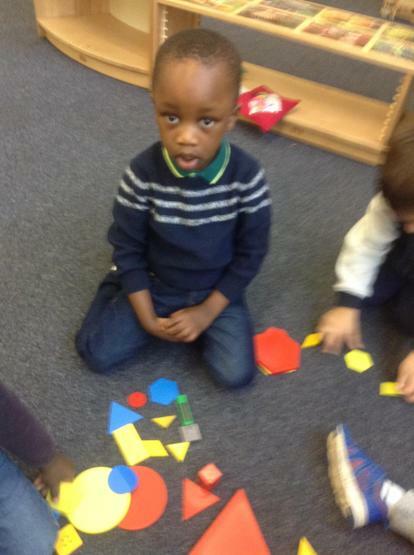 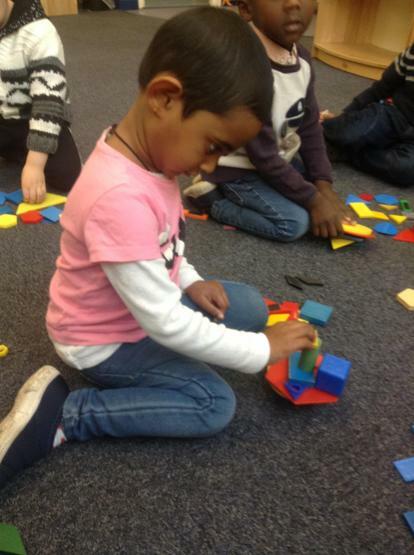 It is important that children learn through play and that they develop a love of learning and an inquisitive mind. 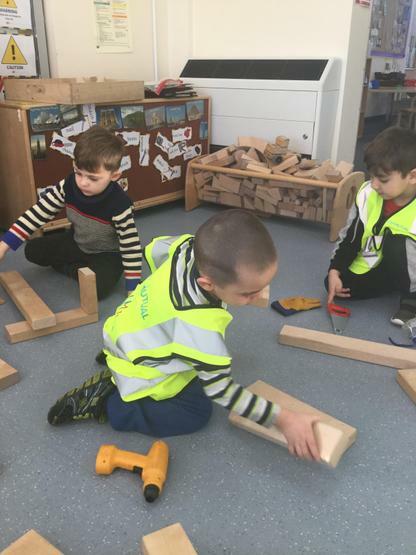 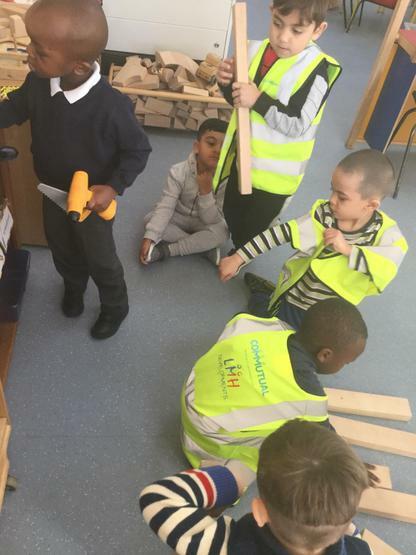 All children are allocated a key worker. 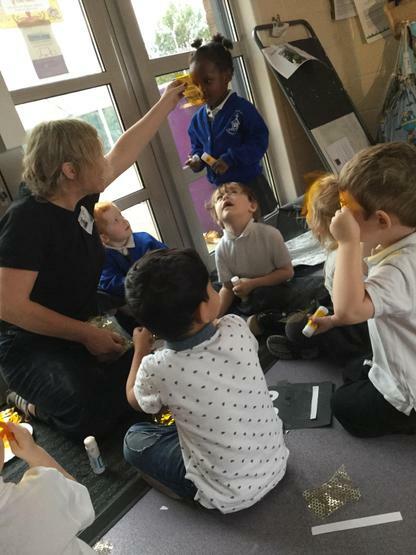 A key person is a named member of staff with responsibilities for a small group of children who helps those children in the group feel safe and cared for. 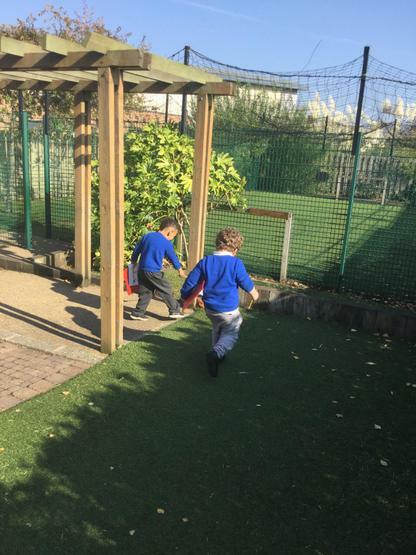 We will have PE on a Thursday morning and afternoon and Soft Play on a Friday. 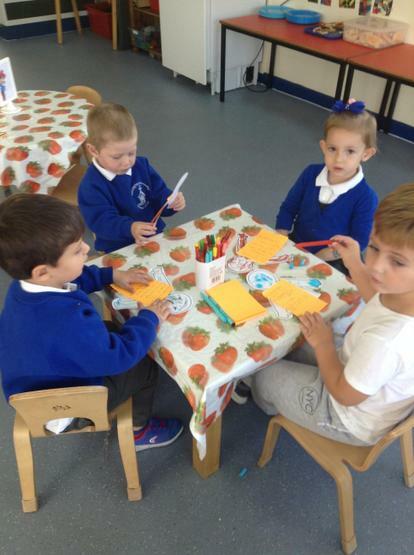 We also ask for 50p a week which is a contribution towards your childs snack. 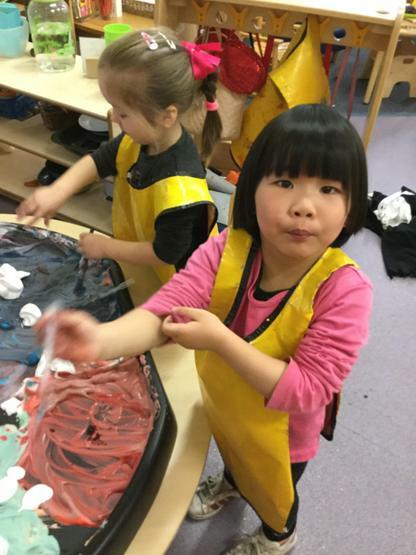 We have had a very busy spring term so far. 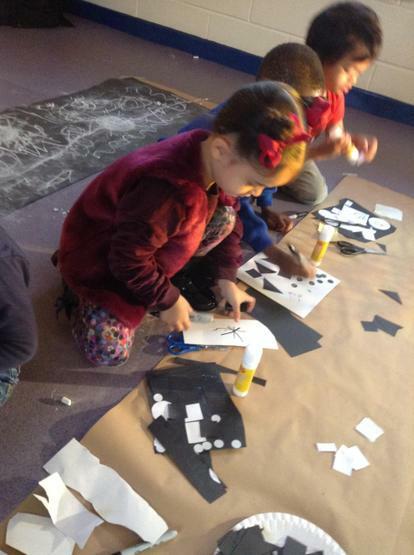 We have looked at winter, exploring it through the story of Frozen. 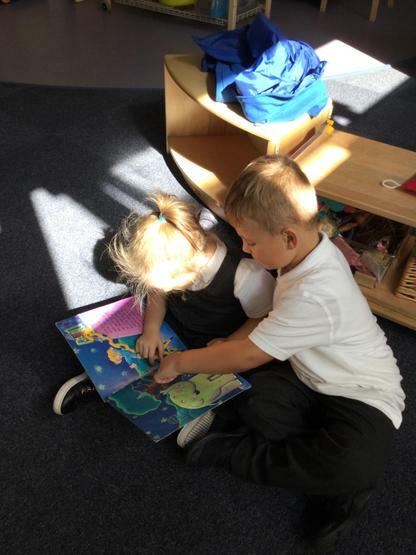 We have also had a focus on stories, looking at the Gingerbread Man, The Three Little Pigs and Three Billy Goats Gruff. 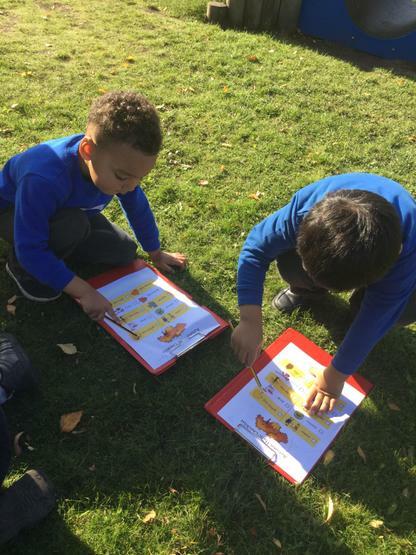 We learnt about the setting of the stories and joined in with repeated refrains. 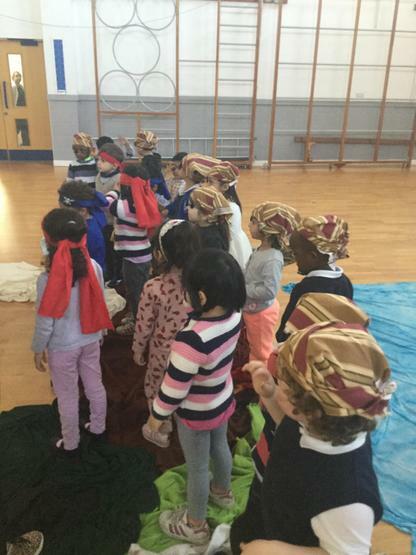 At the end of Spring 1 we had a fantastic time celebrating Chinese New Year and were very excited when the Chinese dragon and lions came to visit us! 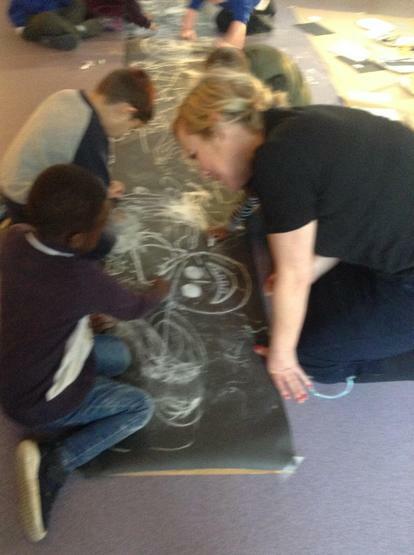 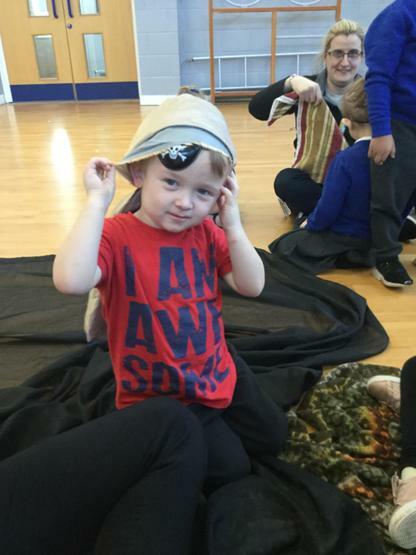 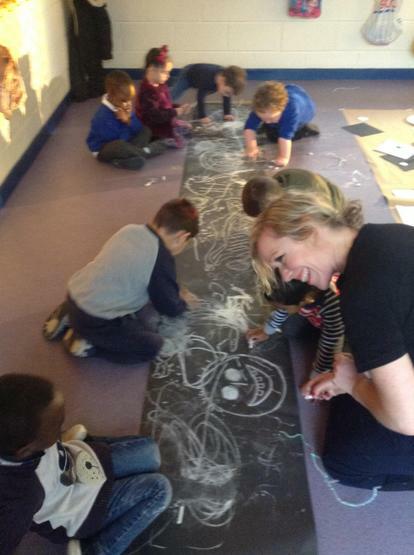 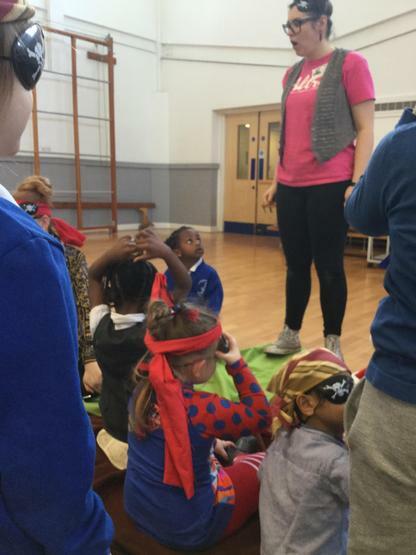 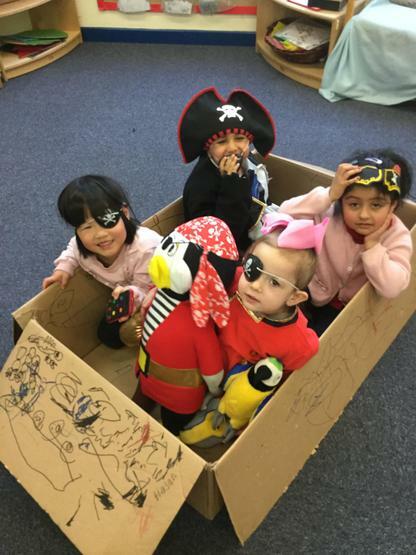 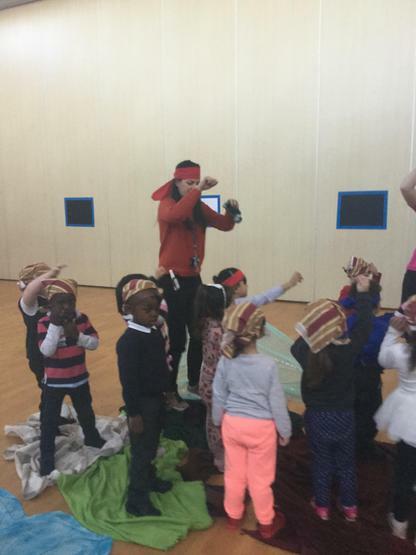 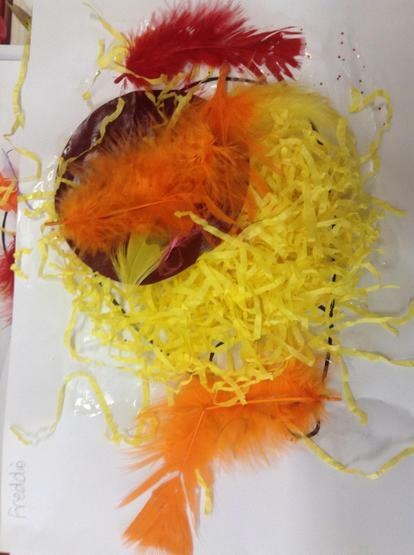 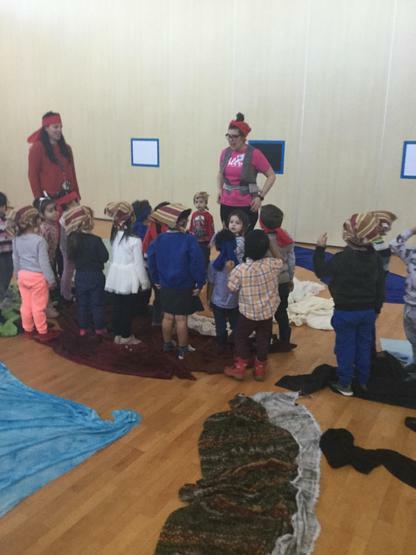 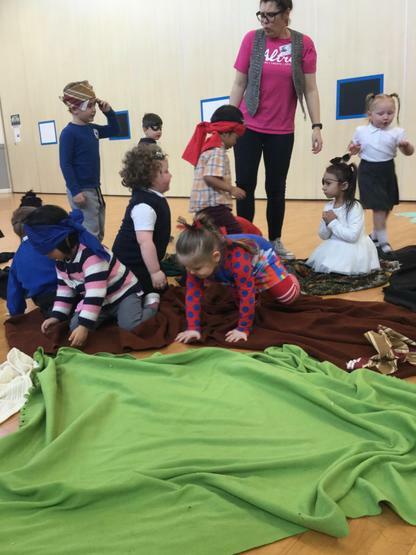 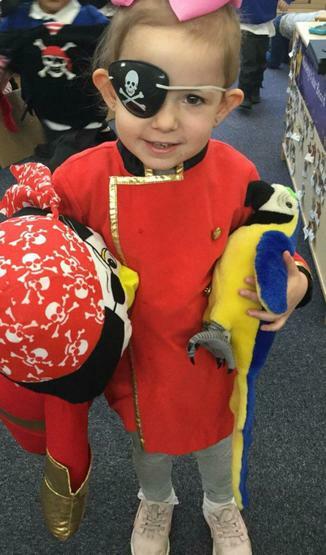 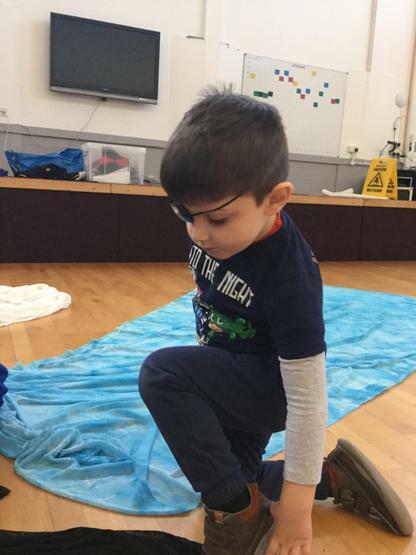 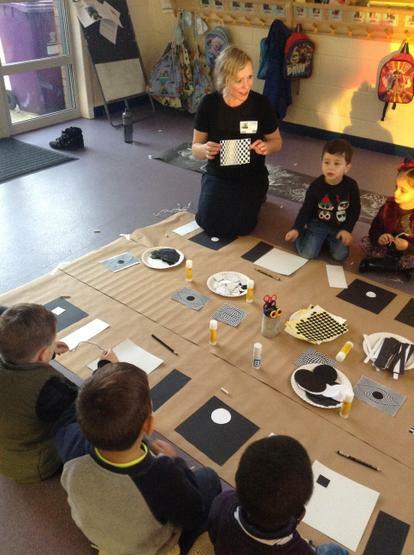 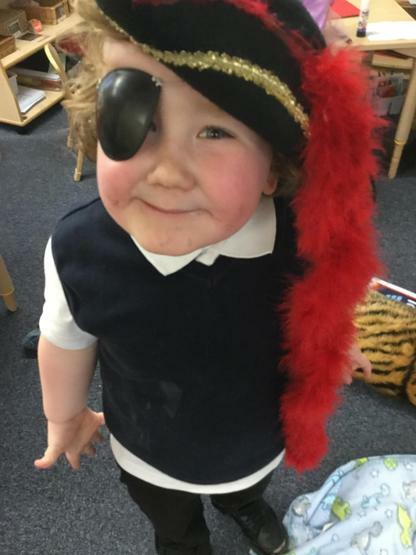 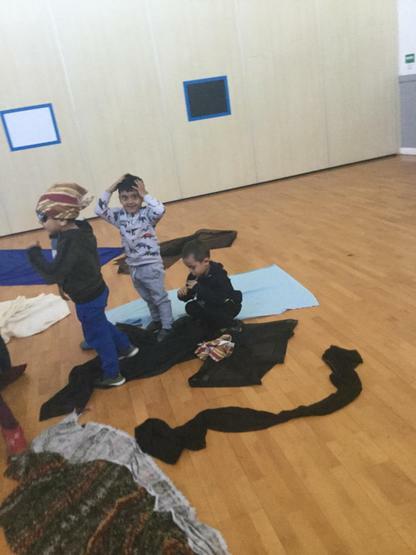 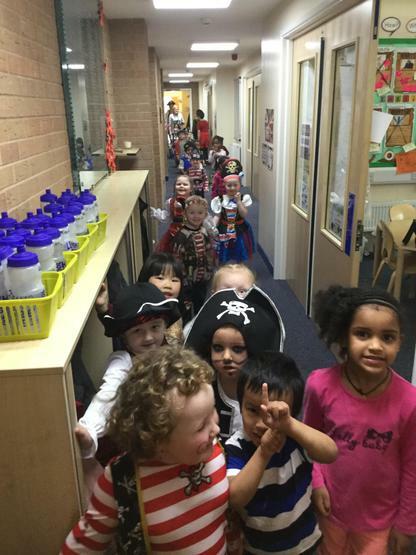 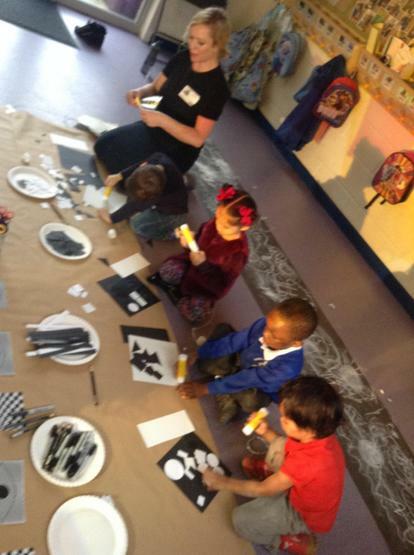 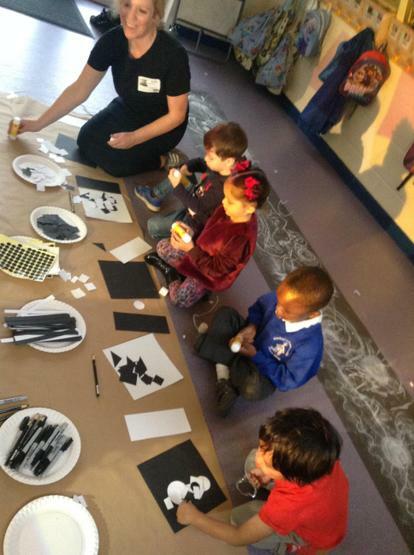 This half term we have been focusing on under the sea and have had a great time exploring pirates. 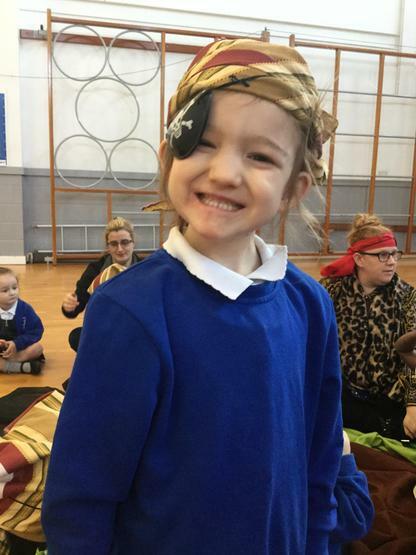 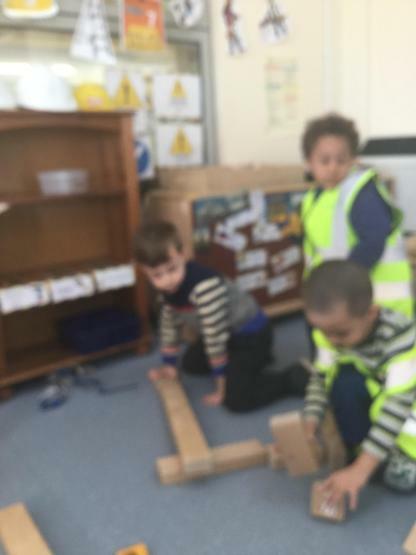 We have had a special pirate WOW visitor where we made a pirate ship and went on an adventure to find treasure! 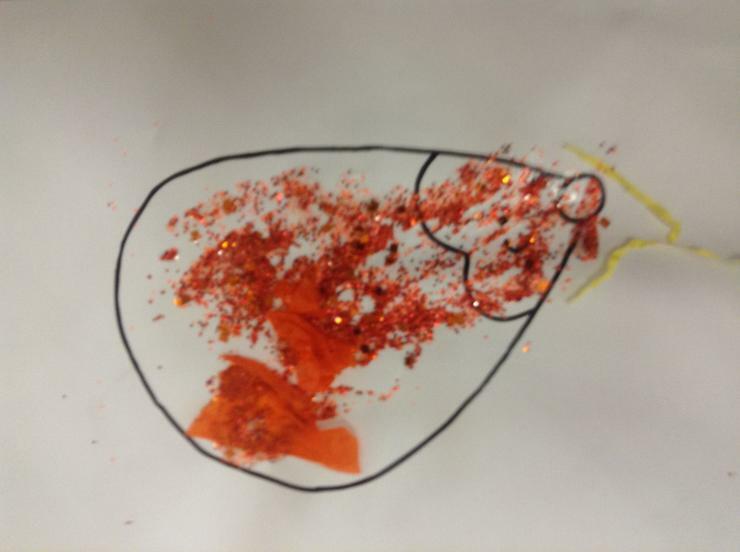 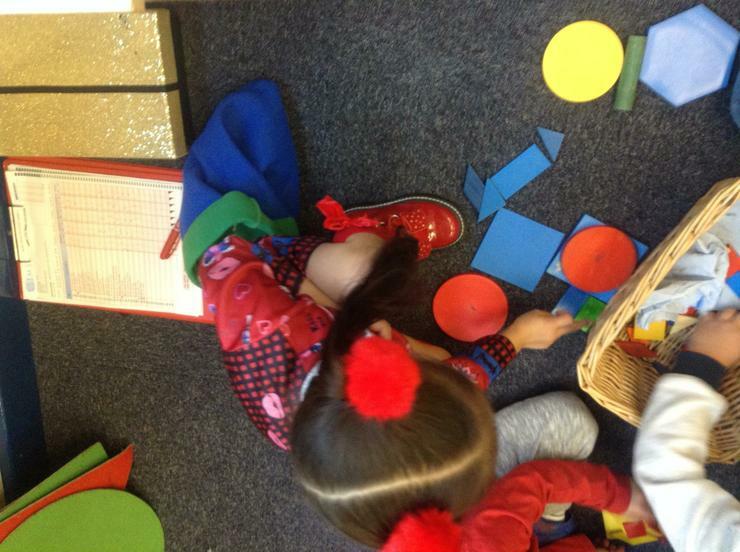 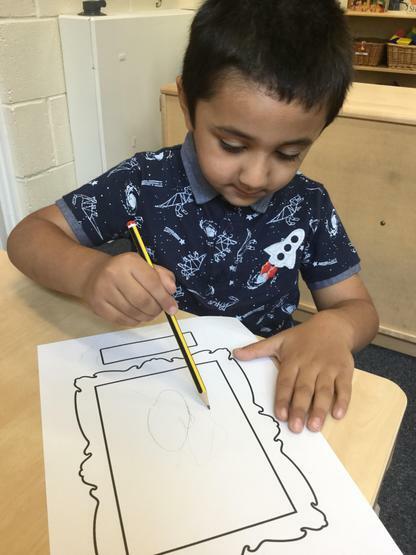 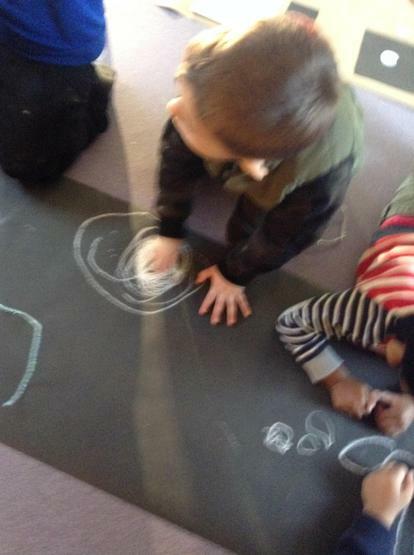 During the first few weeks of Nursery our theme is "All about me". 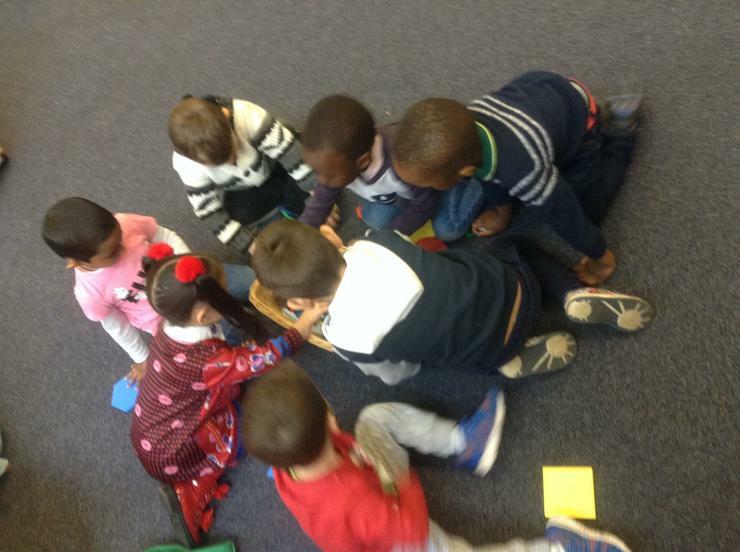 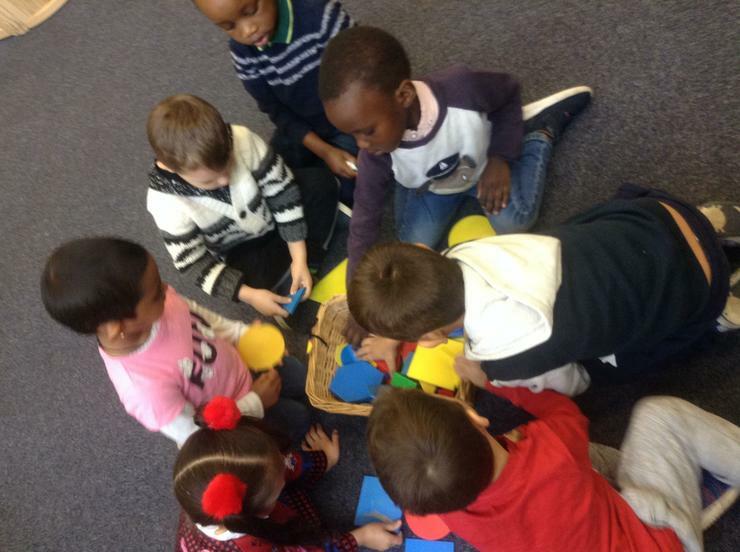 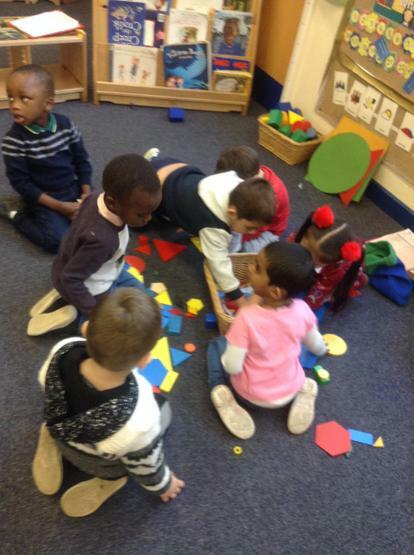 We have really enjoying getting to know each other and settling in to our Nursery environment and routines. 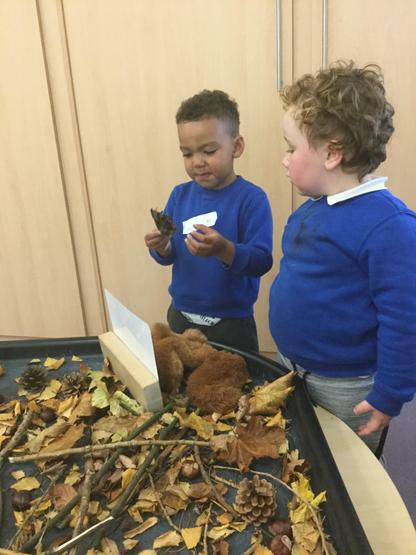 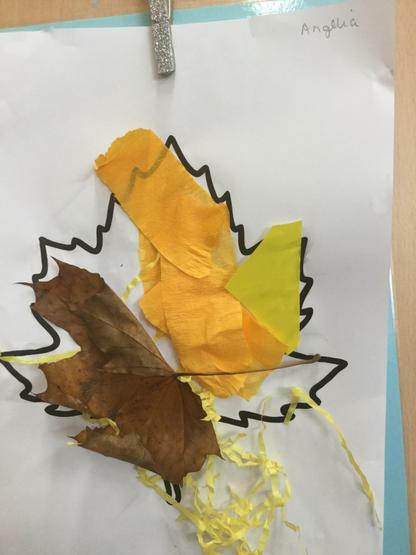 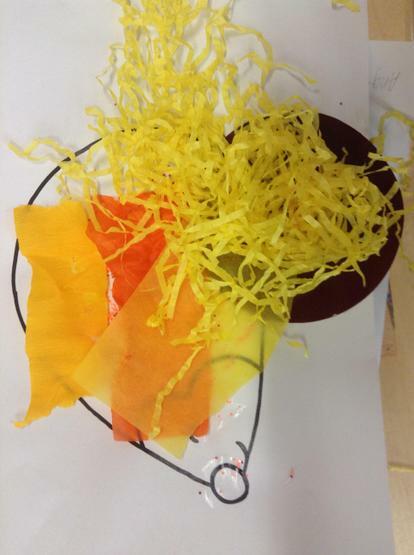 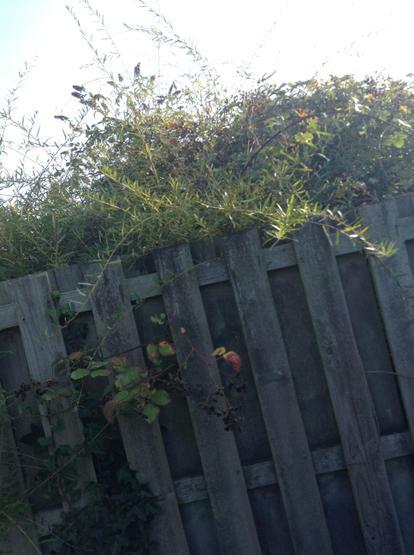 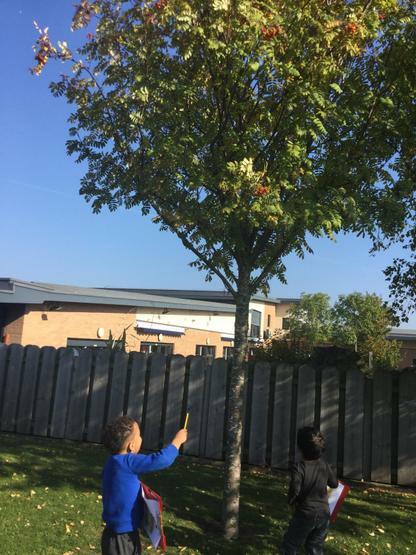 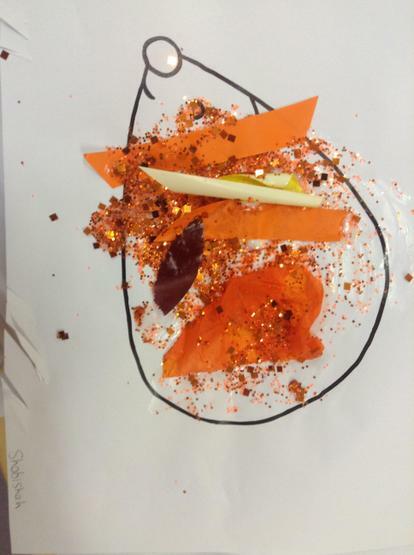 Over the coming weeks we will be exploring Autumn and are beginning to look at all things colour. 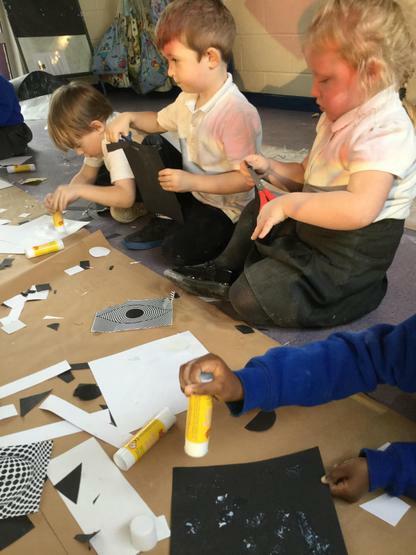 This will involve recognising colours, colour mixing, Science experiments and our Wow visitor for the first half term will be an artist. 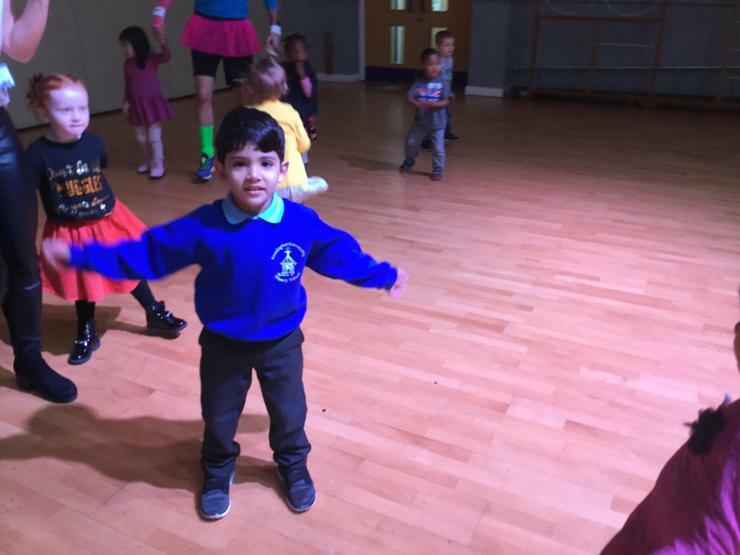 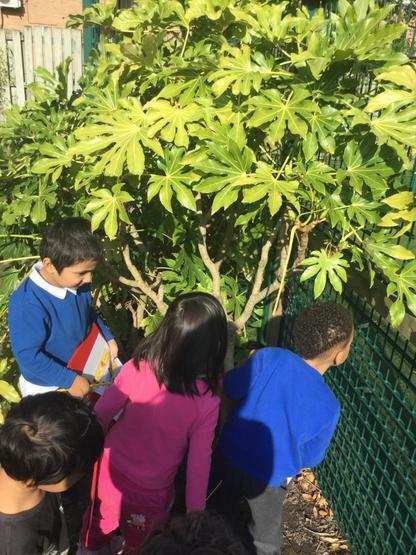 In Autumn 2 Term we will be exploring Divali, Stickman and Christmas we will also have a visit from Reindeers in December. 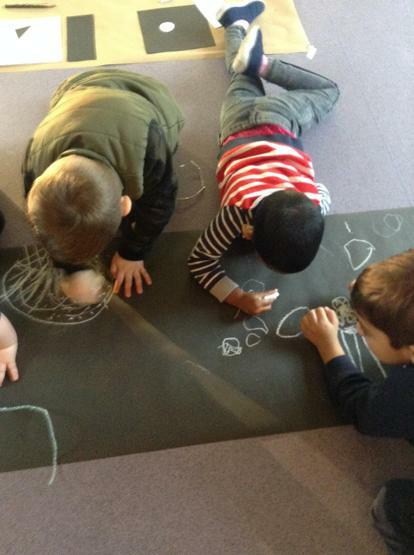 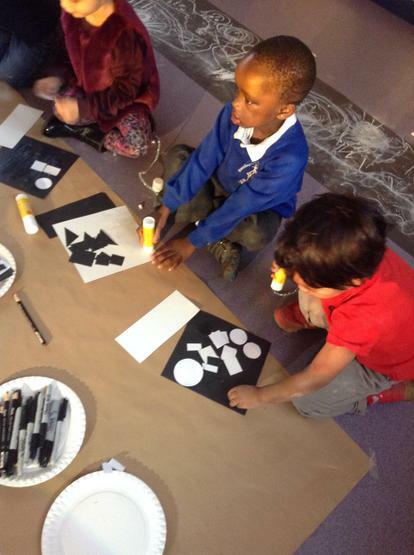 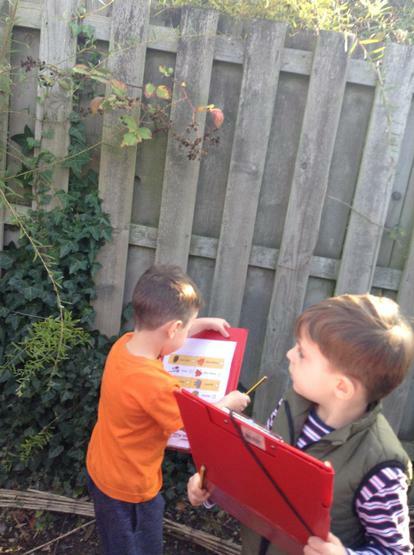 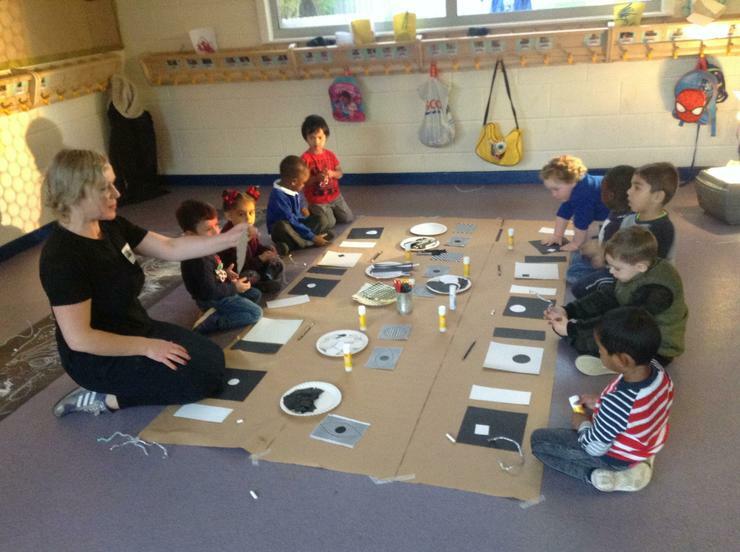 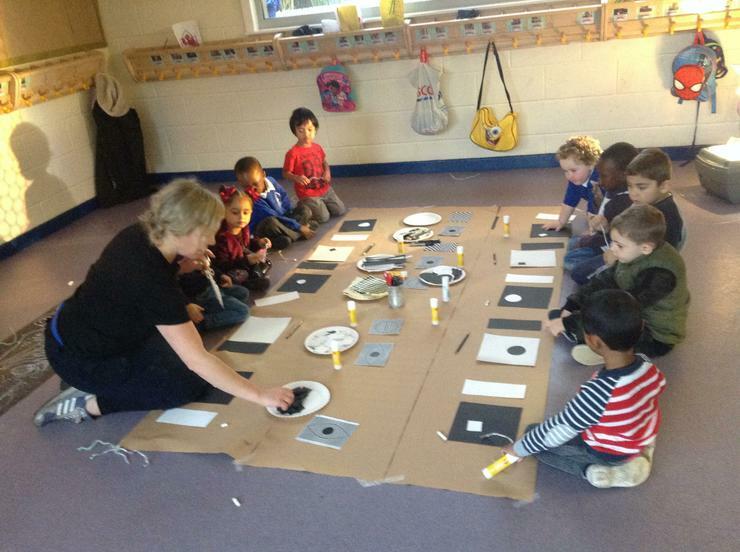 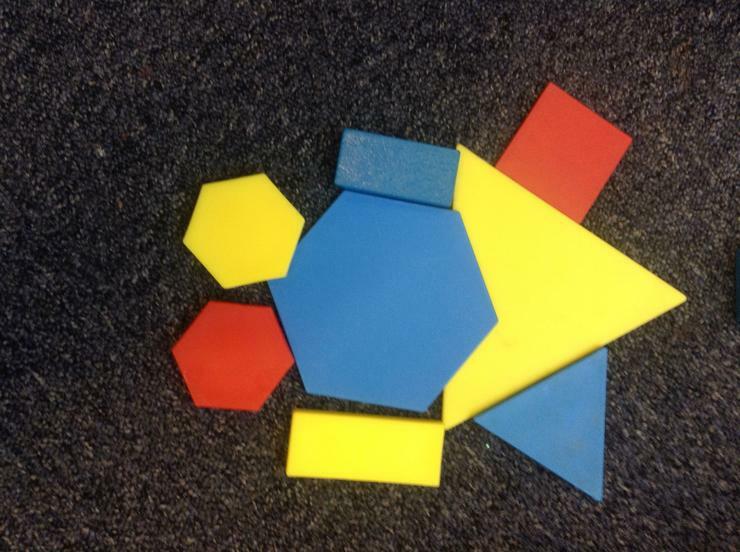 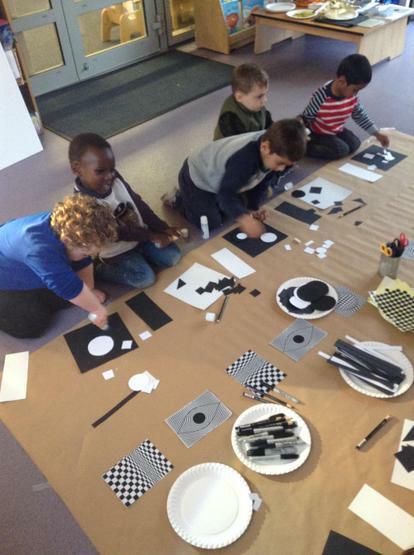 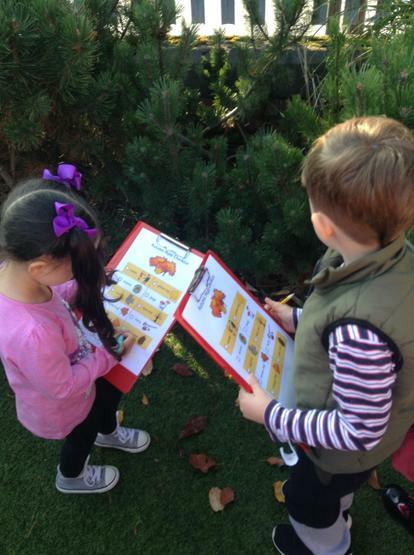 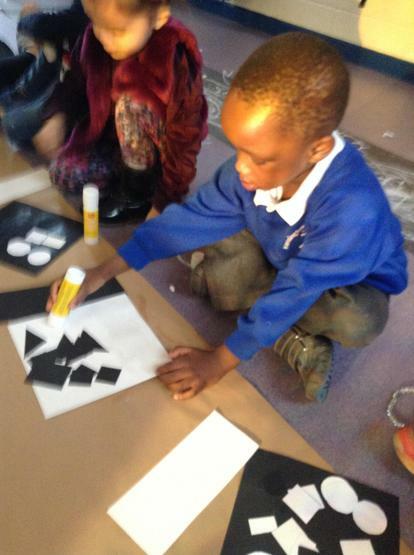 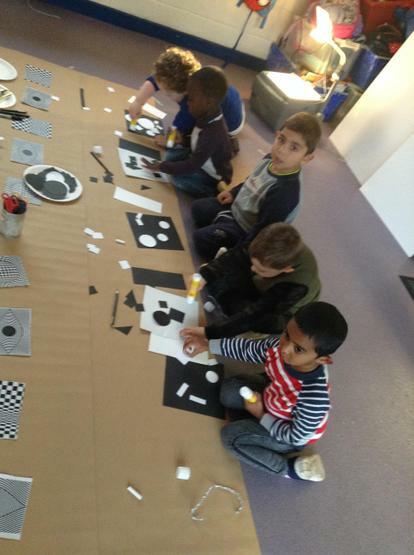 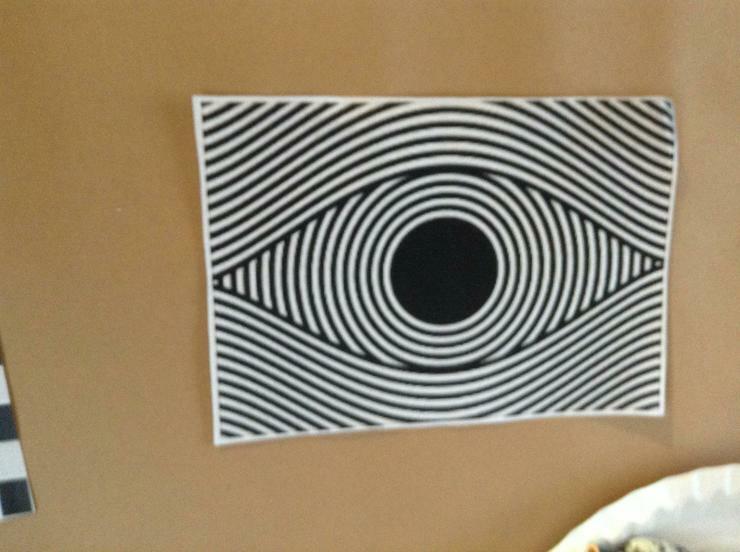 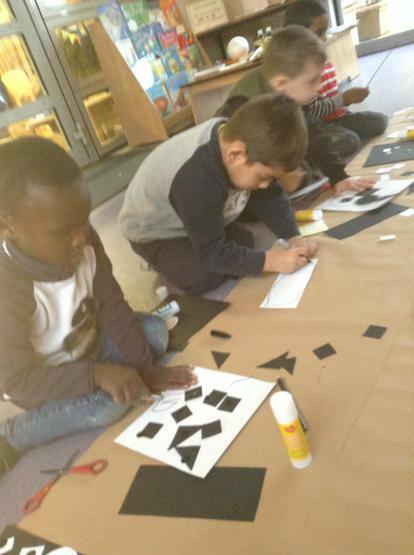 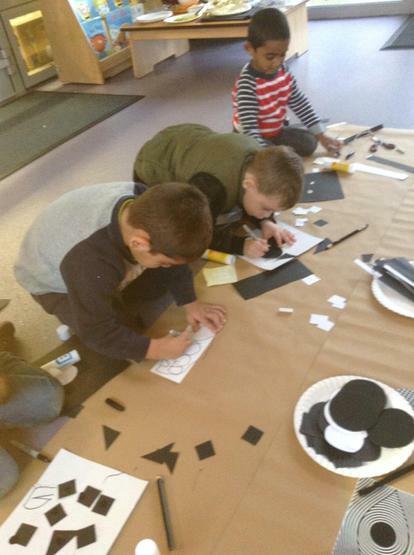 Throughout the term we will also be following childrens interests and planning activities to coincide with these. 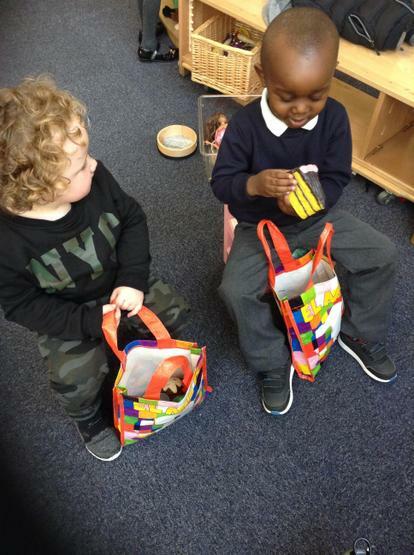 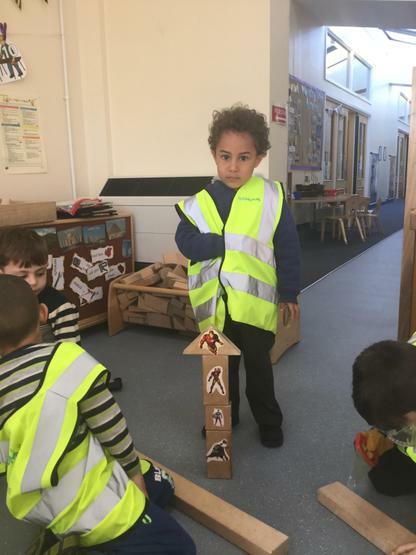 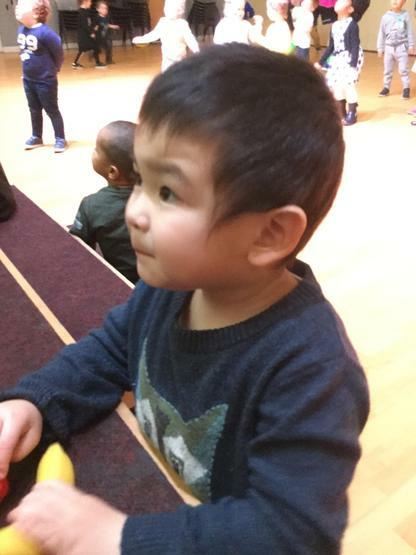 We have had a super half term settling into Nursery. 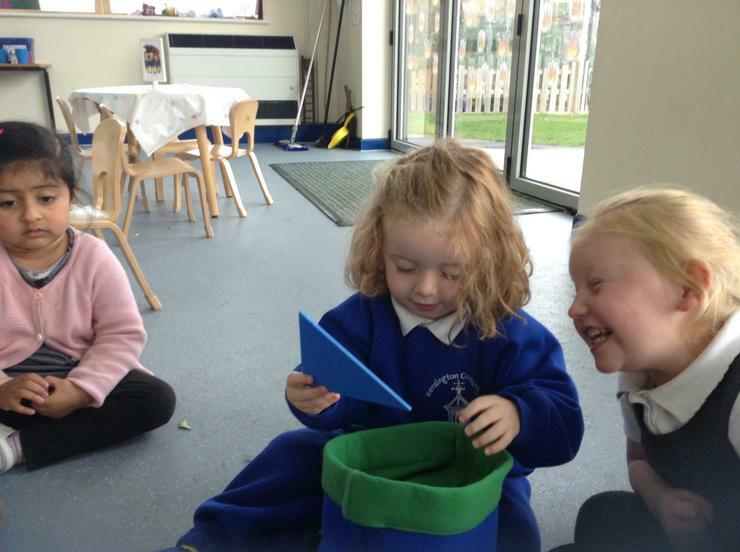 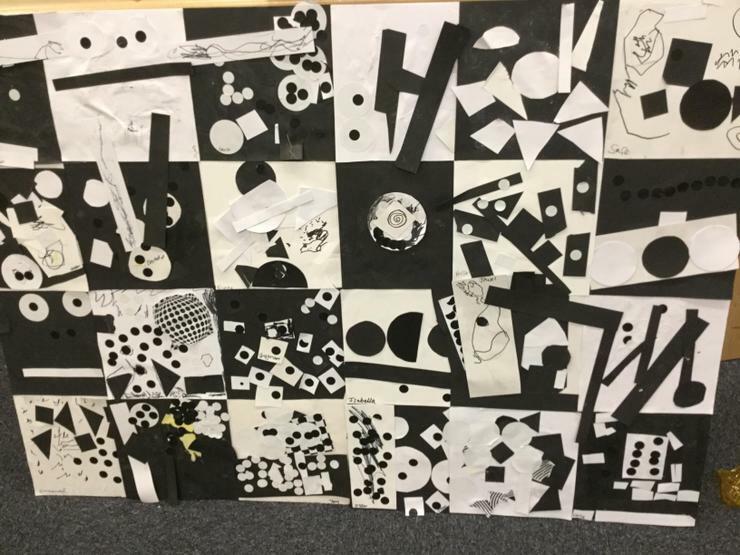 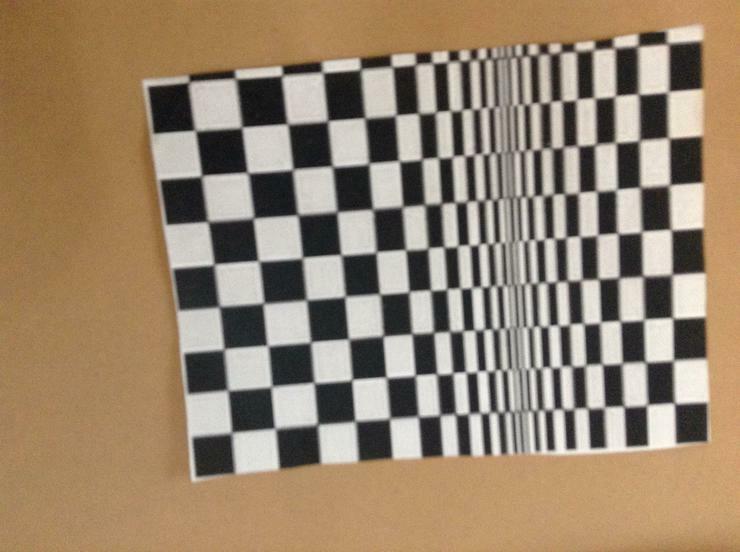 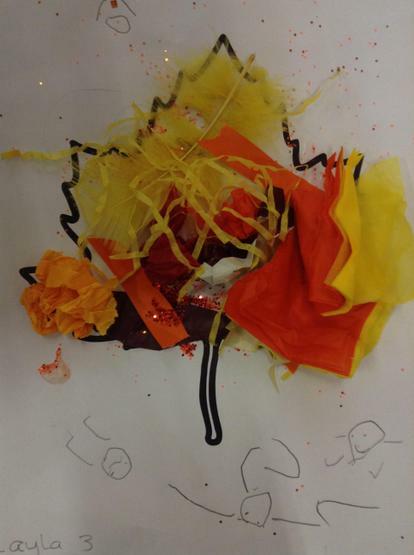 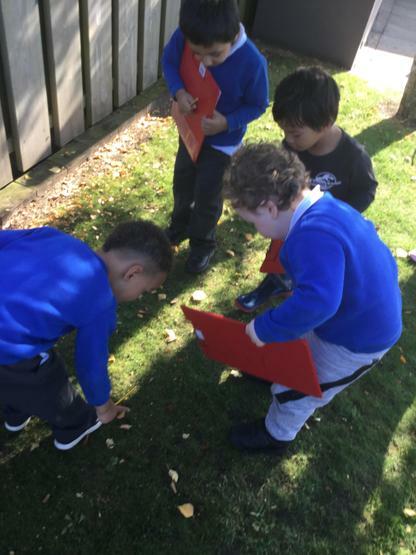 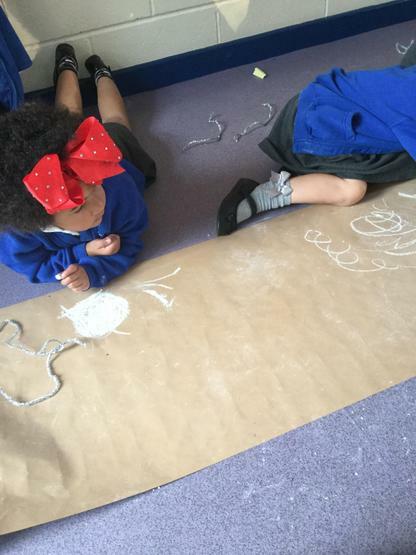 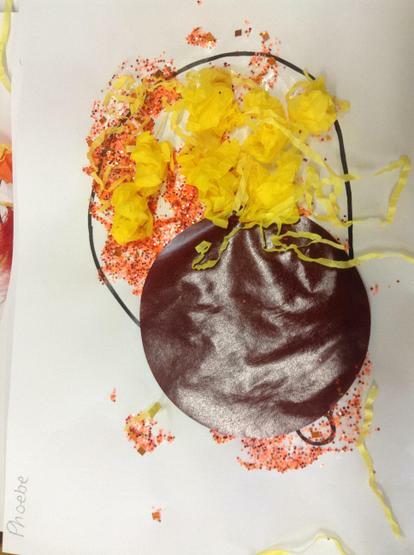 Take a look at some of our wonderful learning!